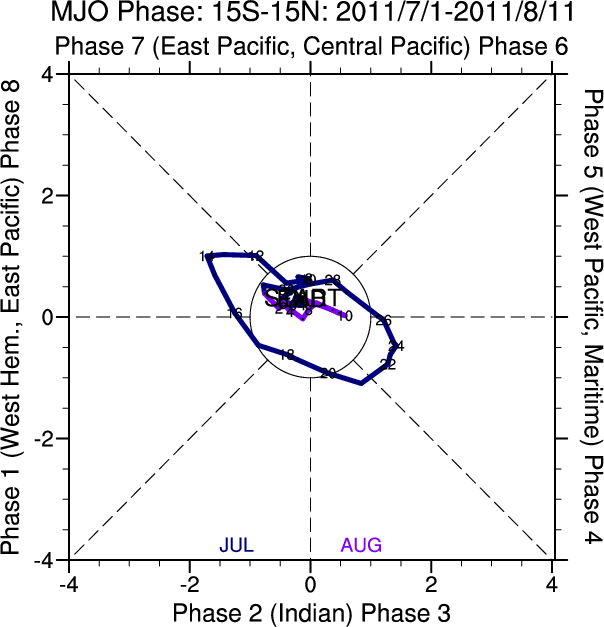 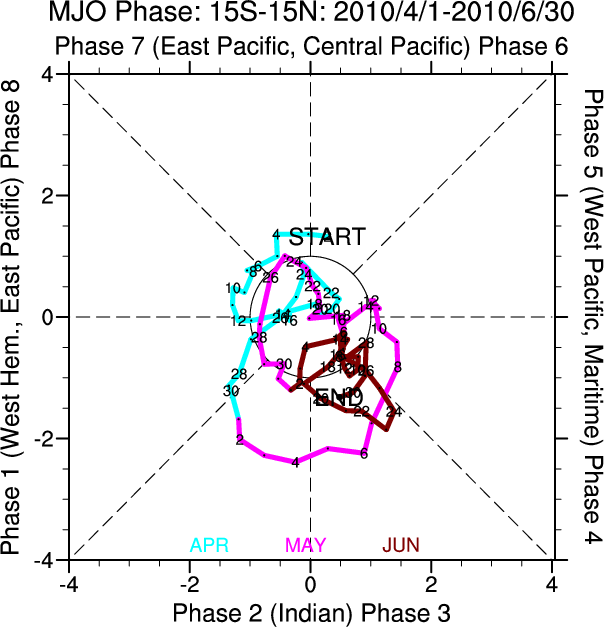 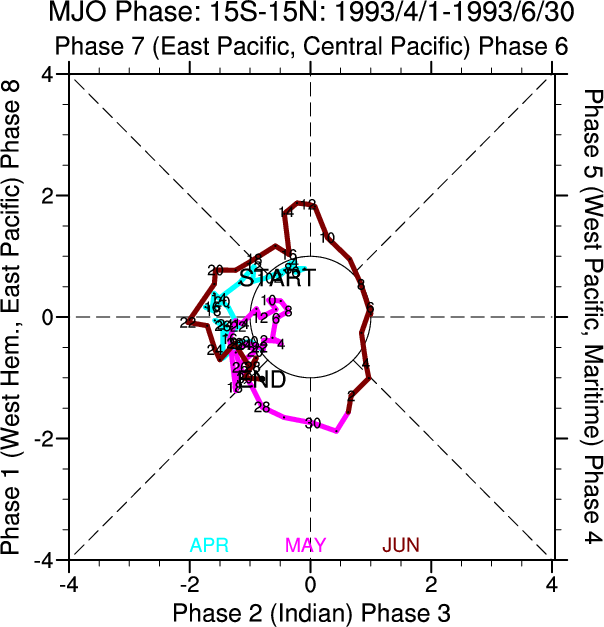 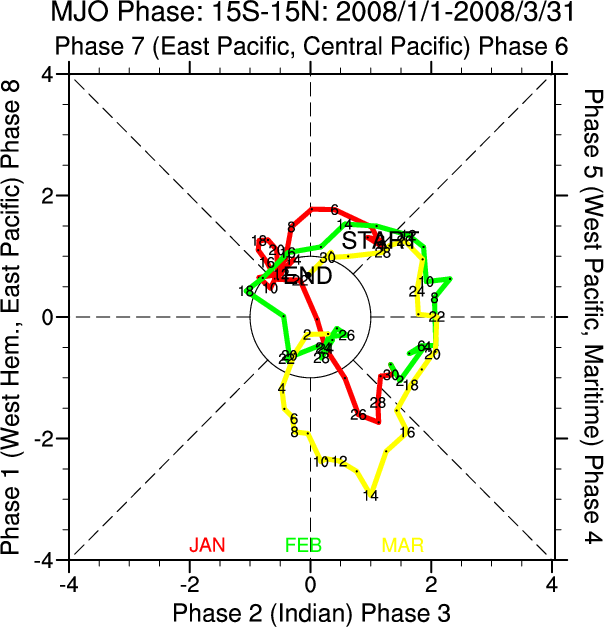 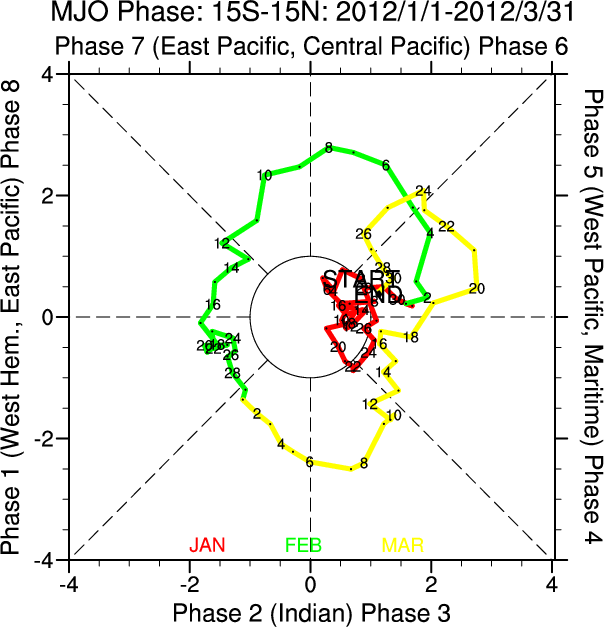 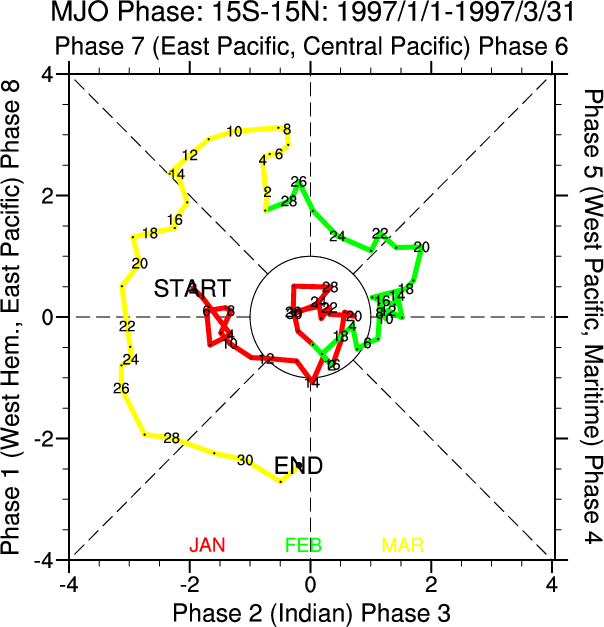 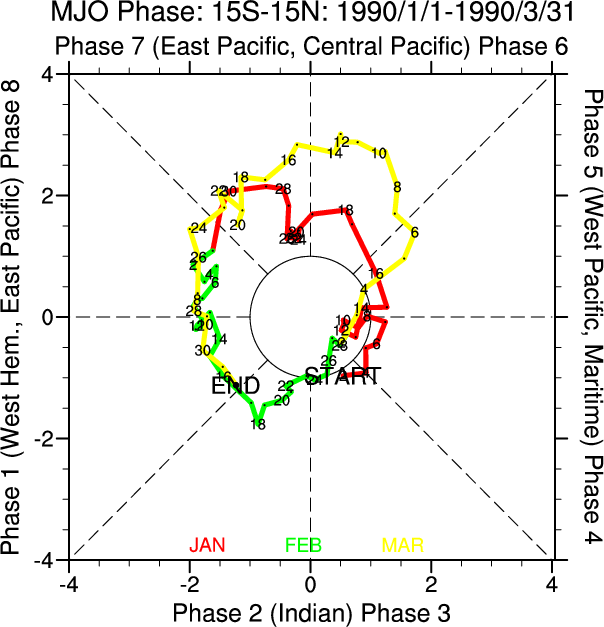 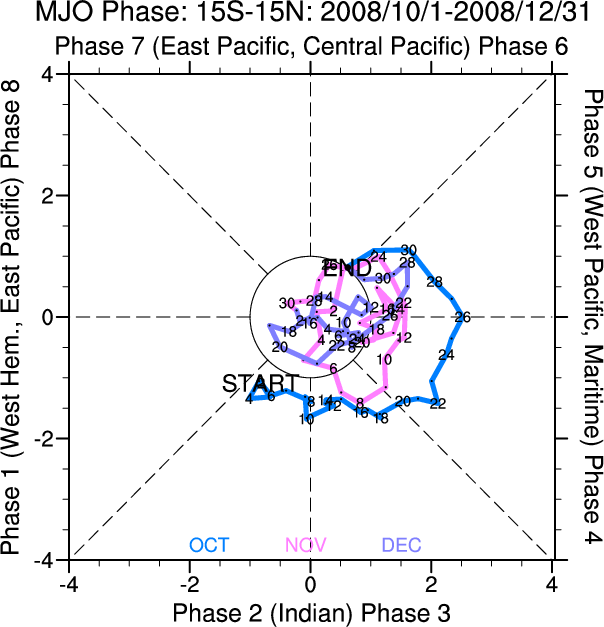 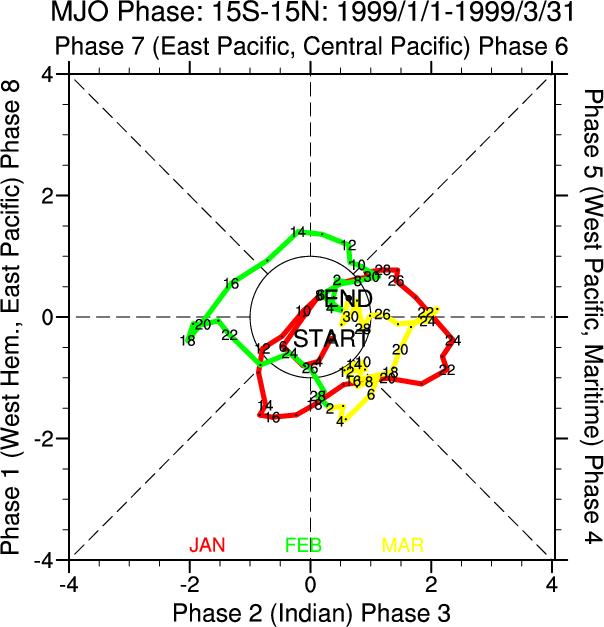 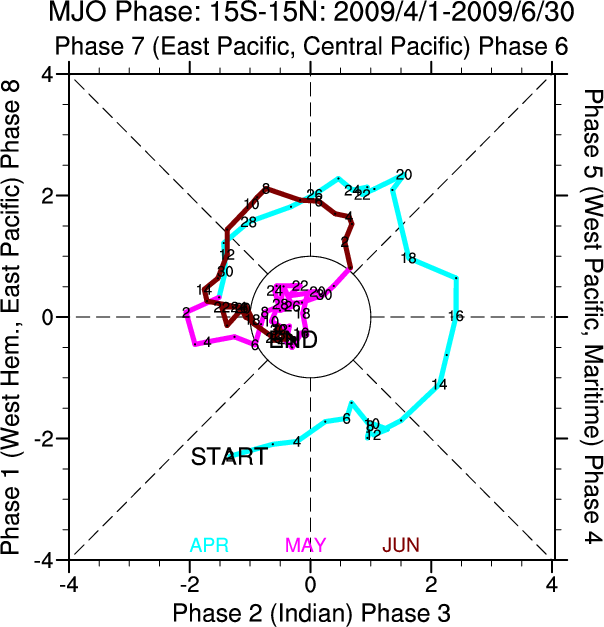 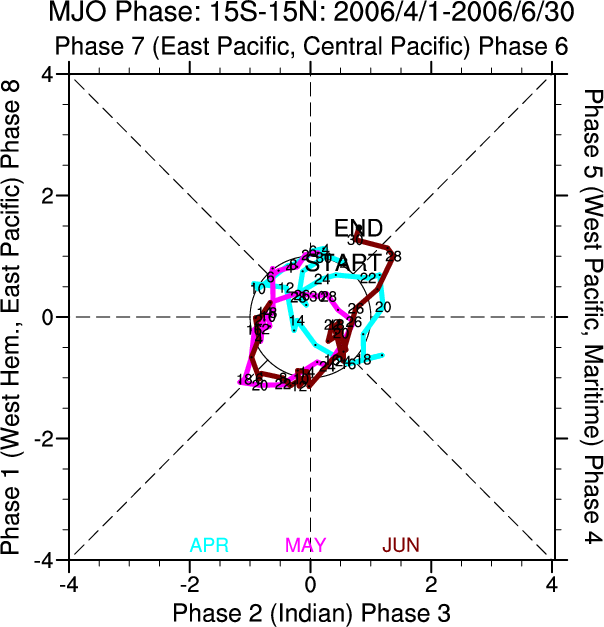 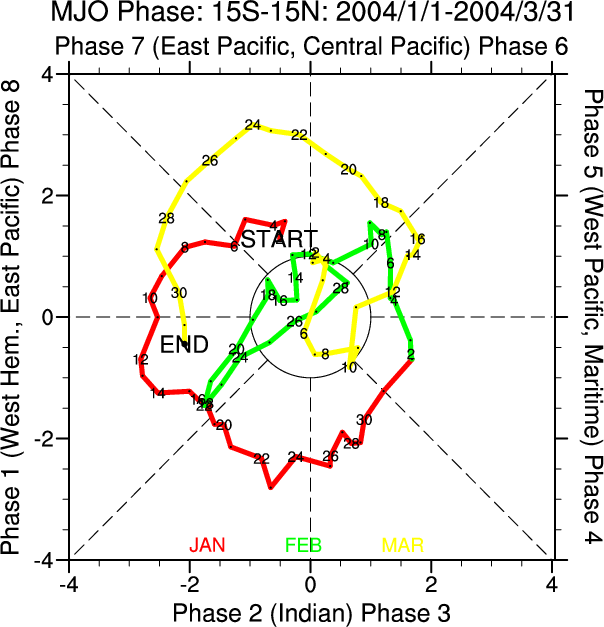 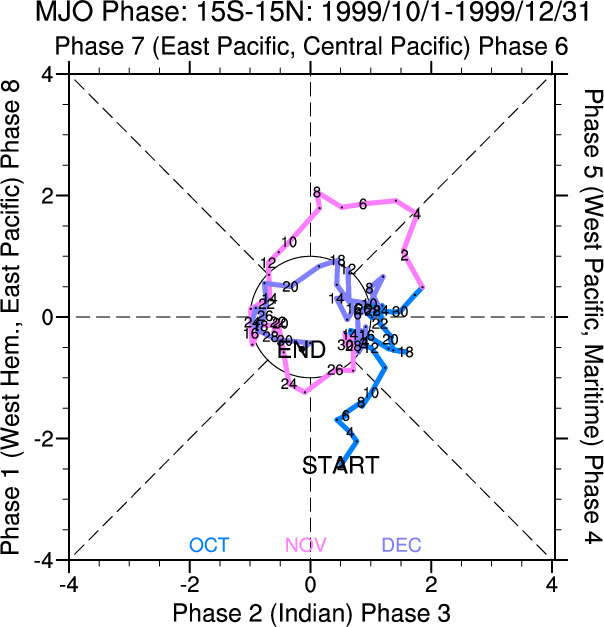 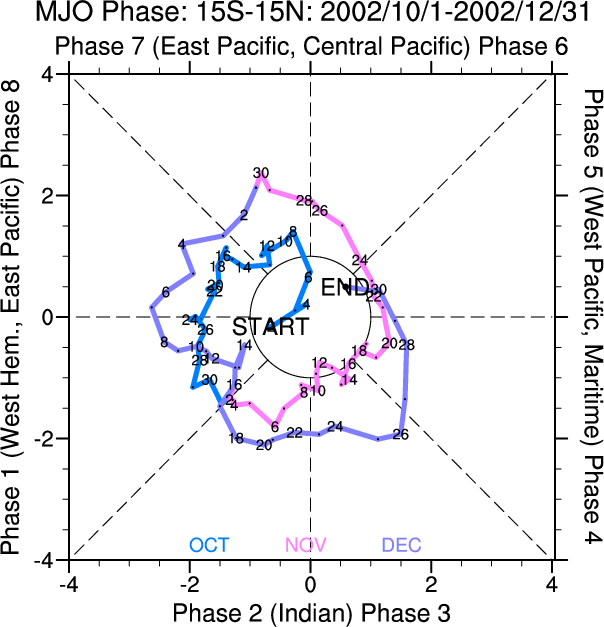 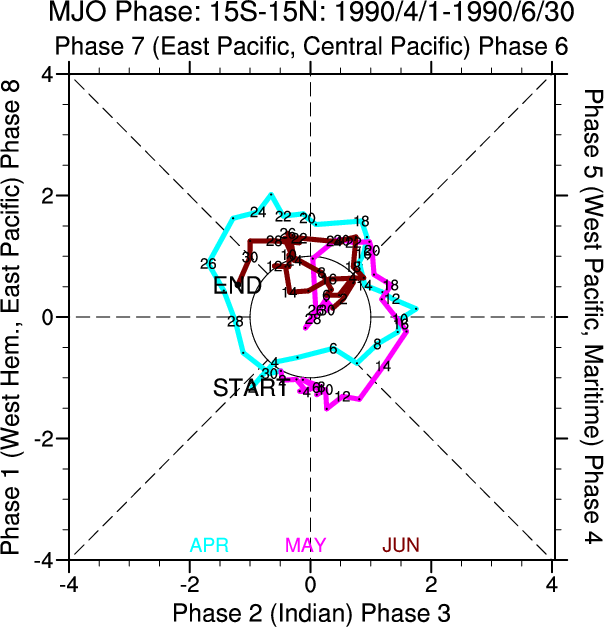 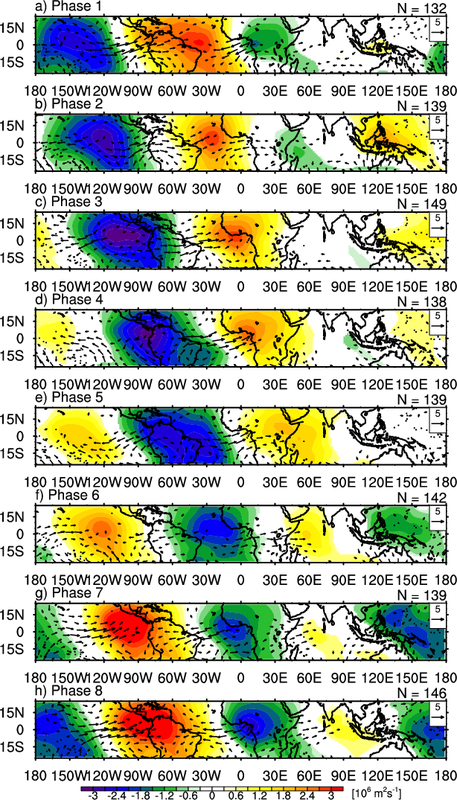 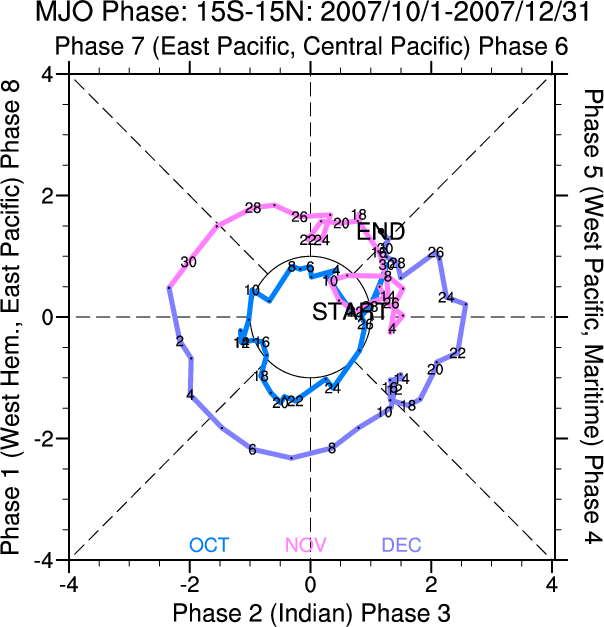 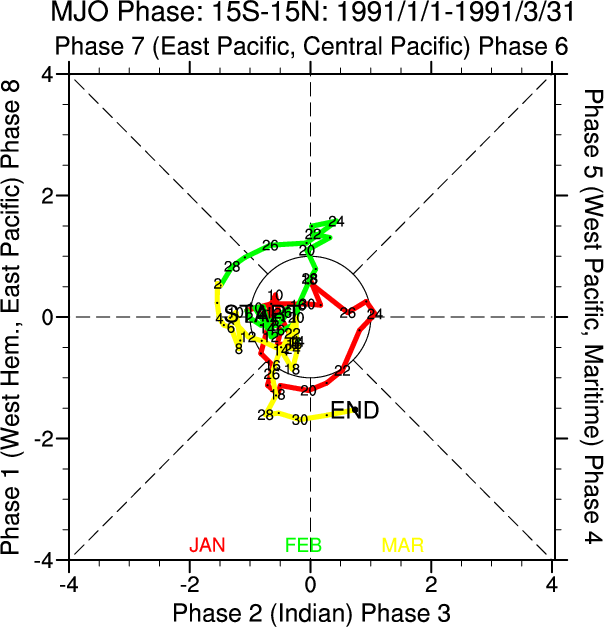 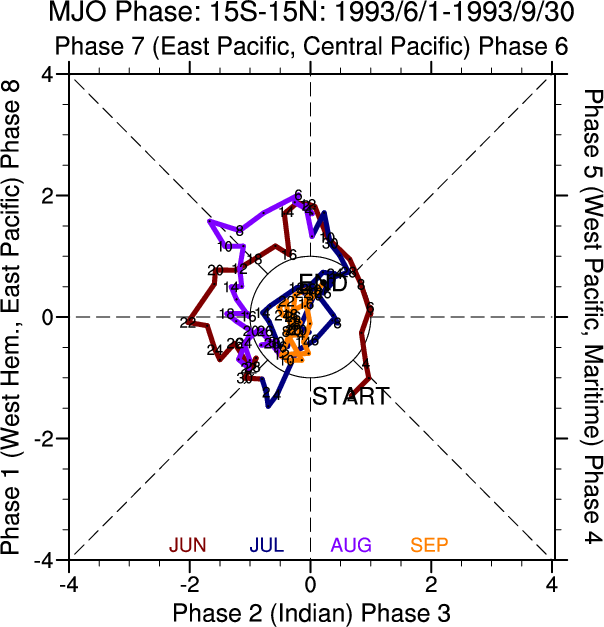 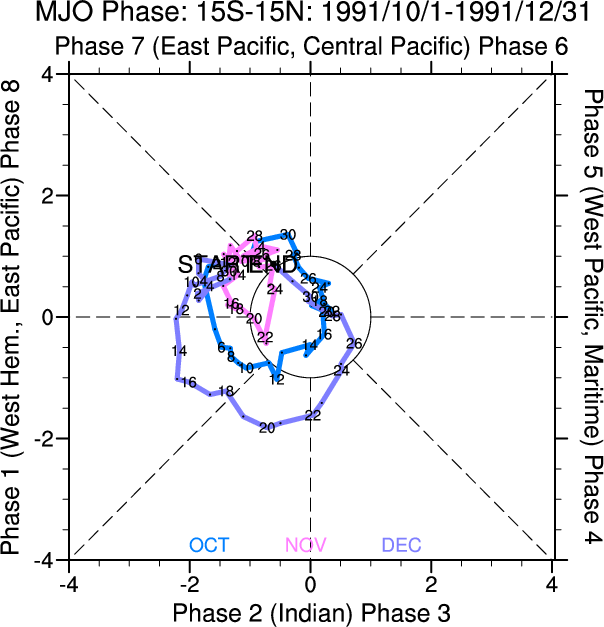 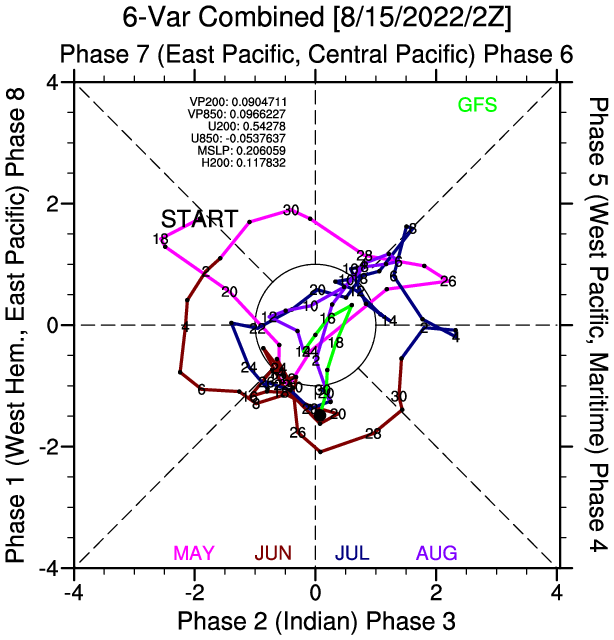 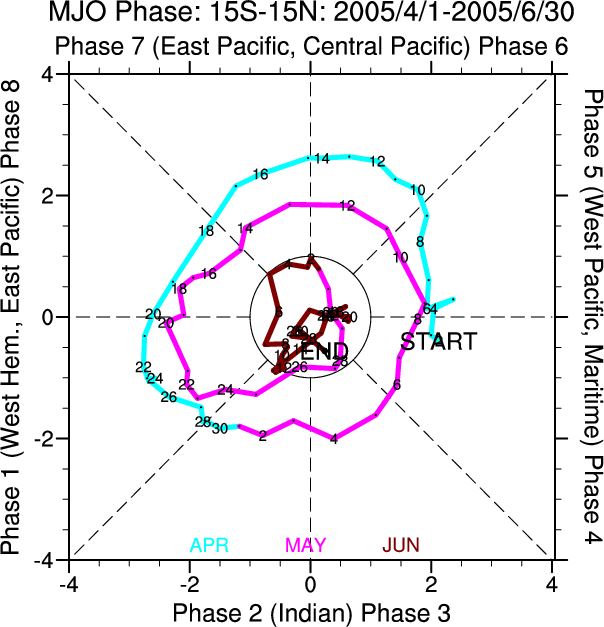 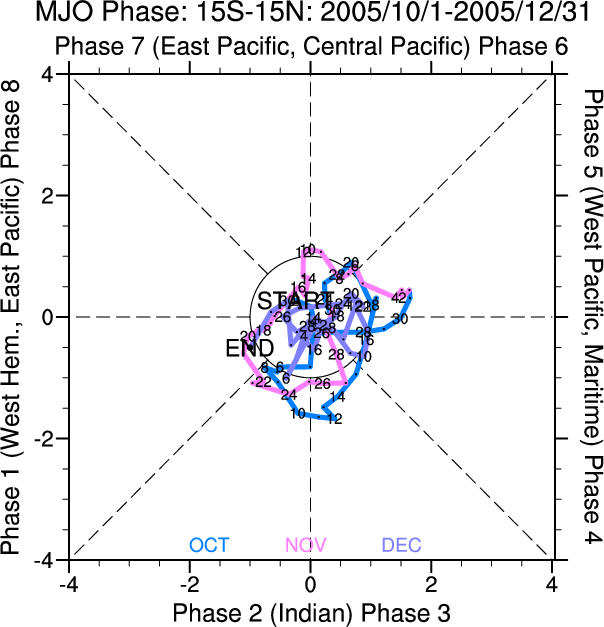 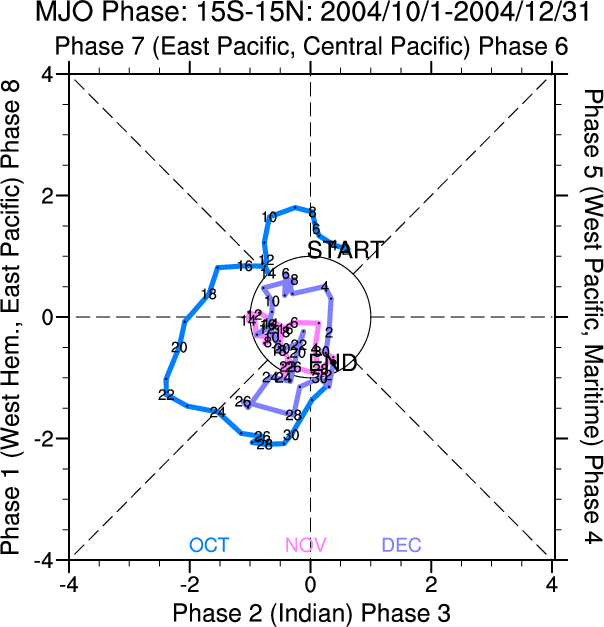 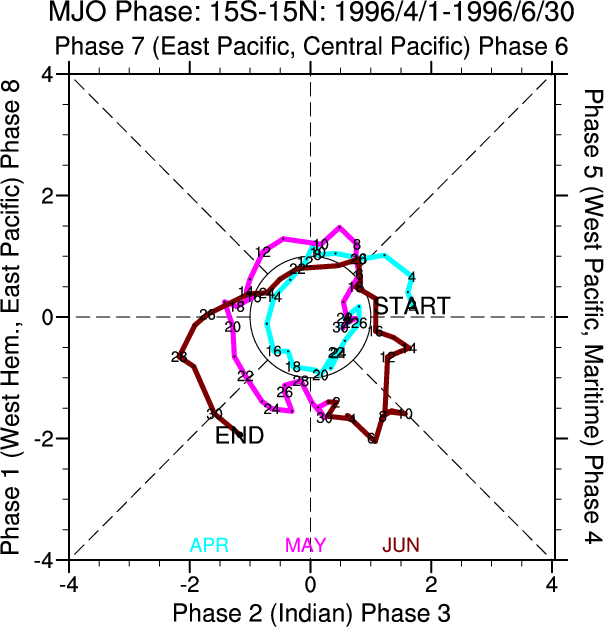 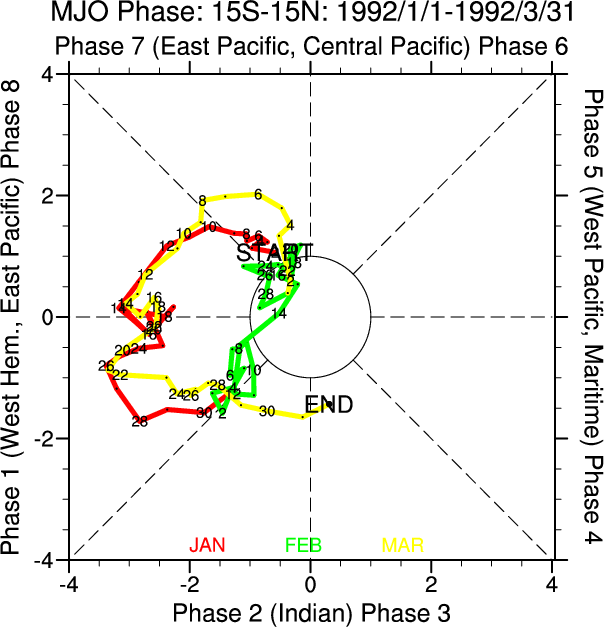 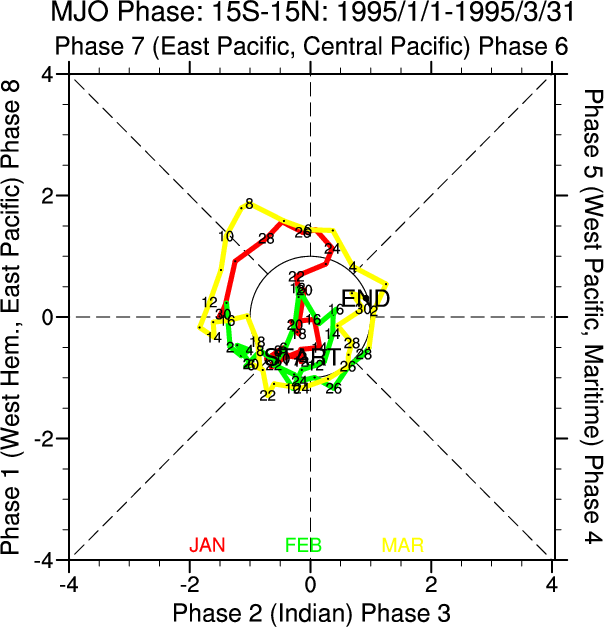 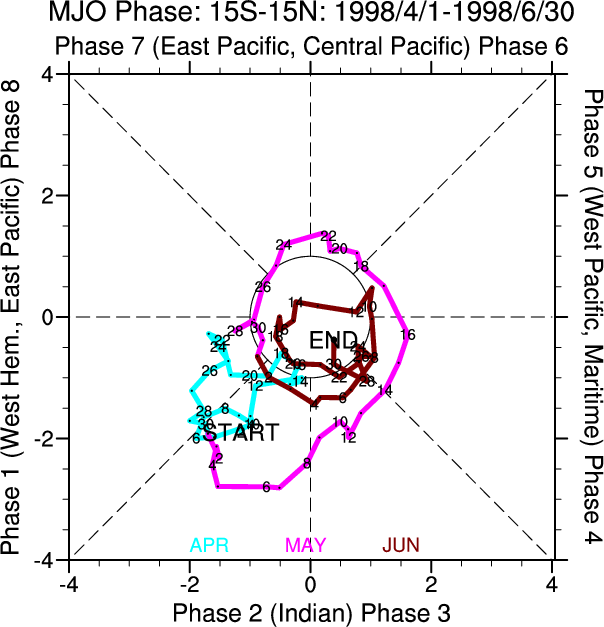 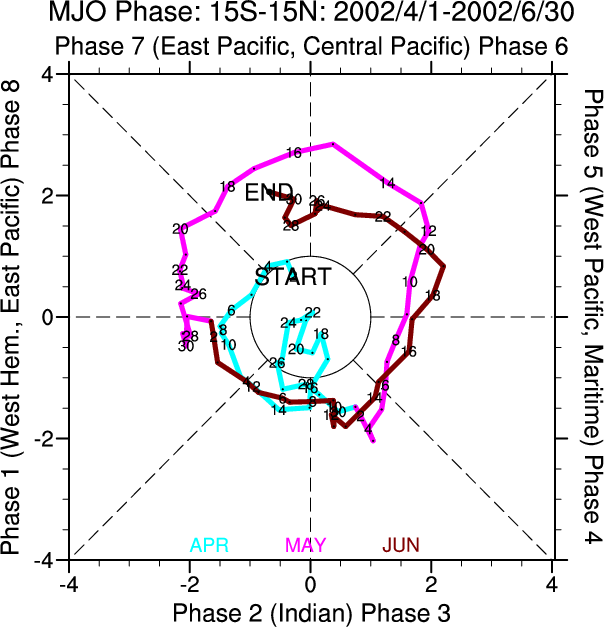 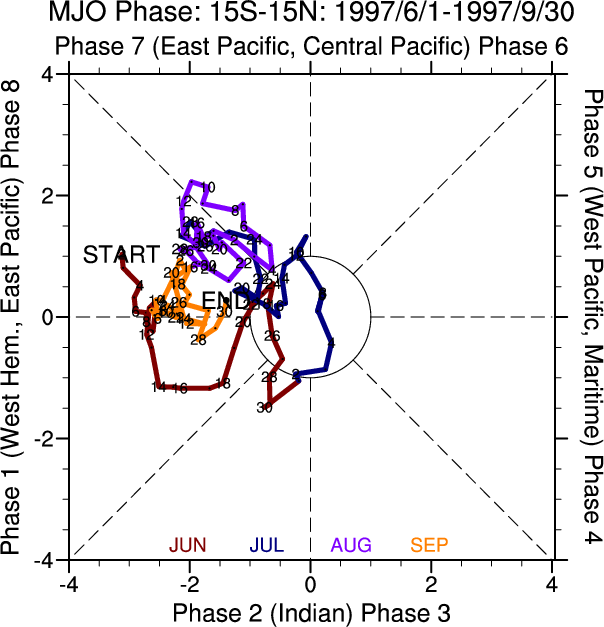 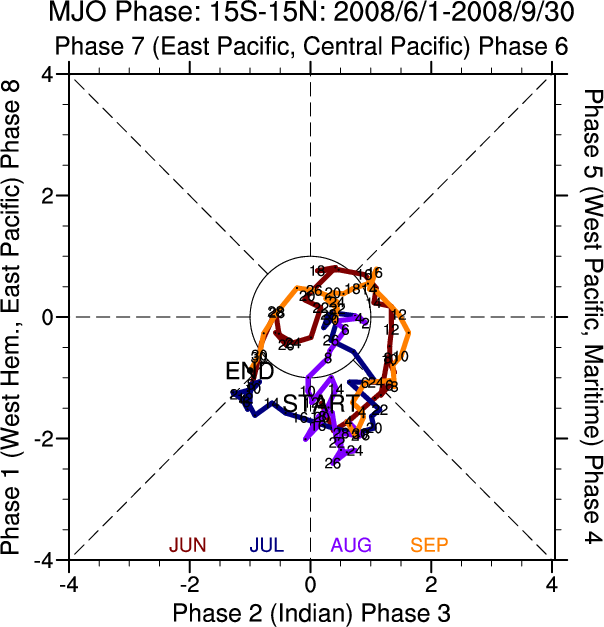 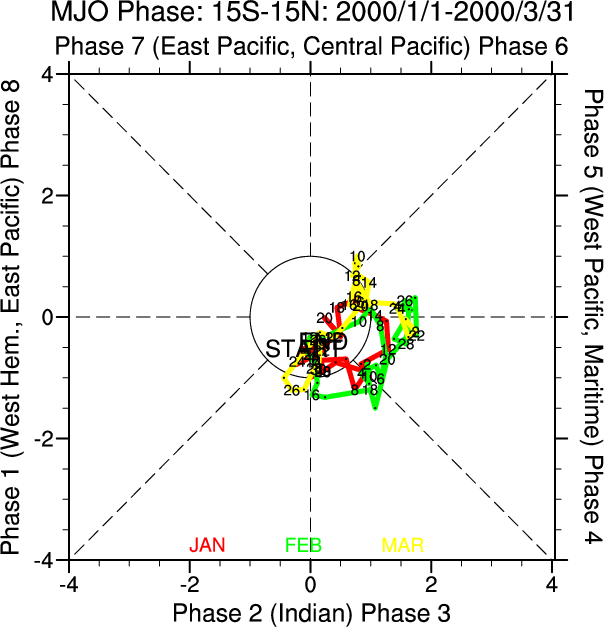 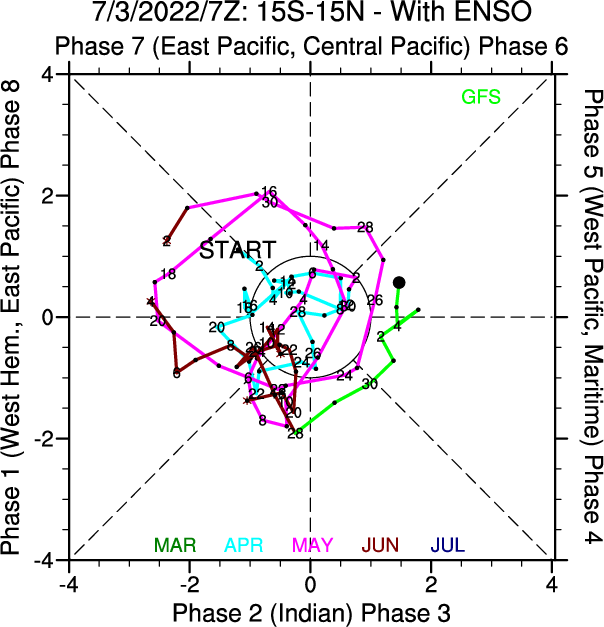 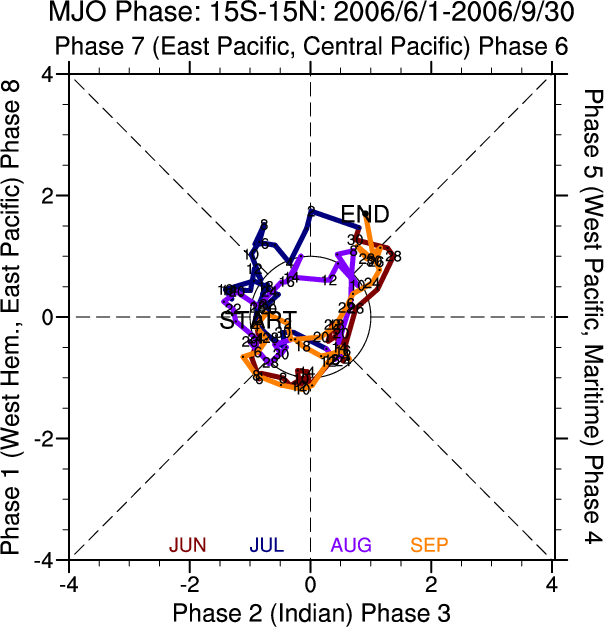 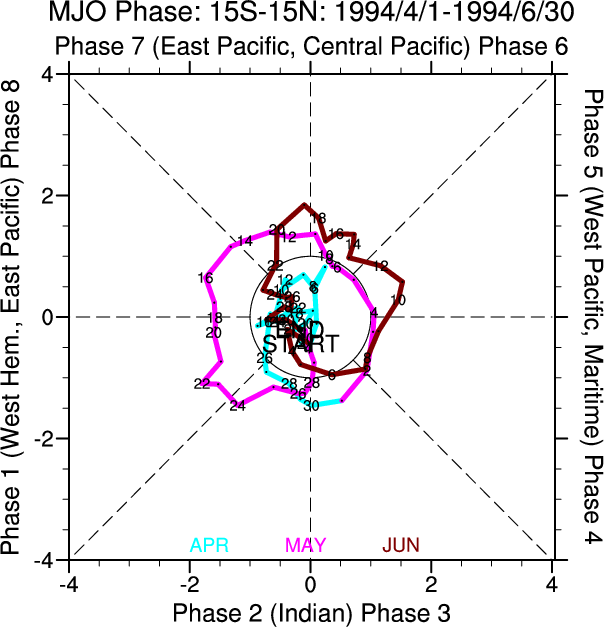 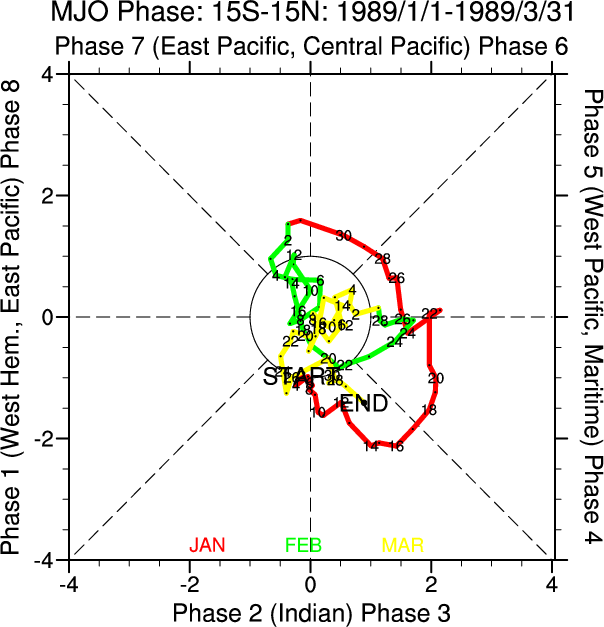 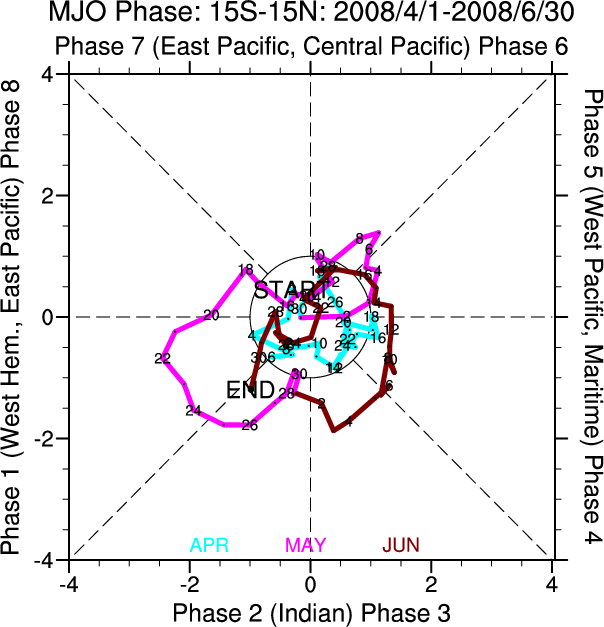 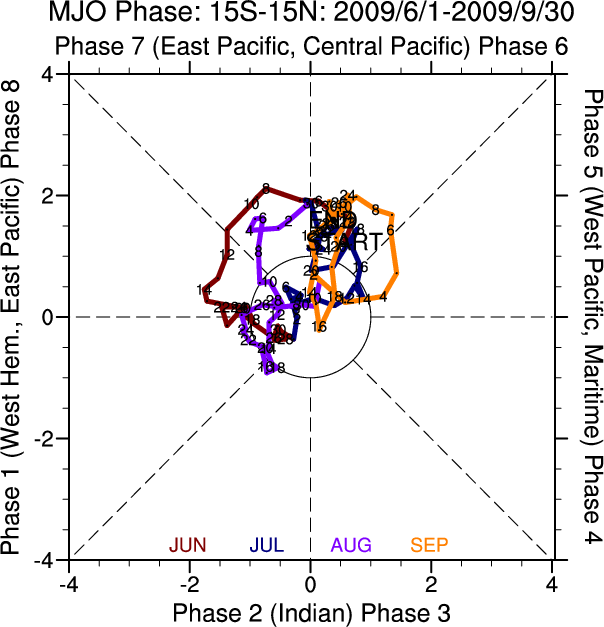 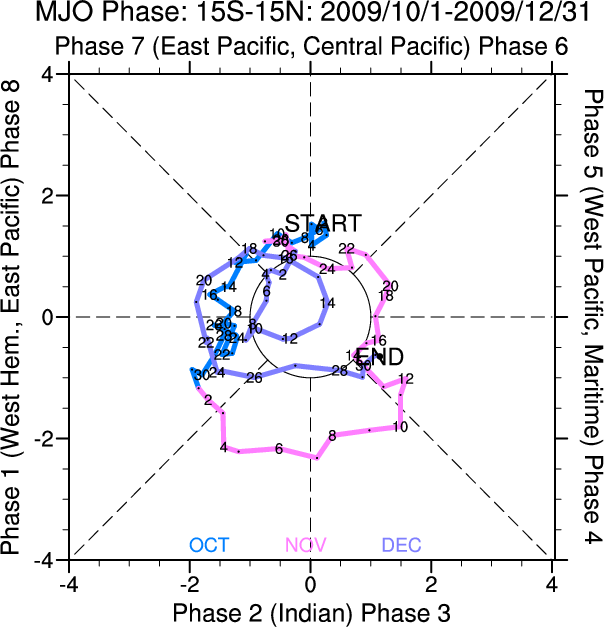 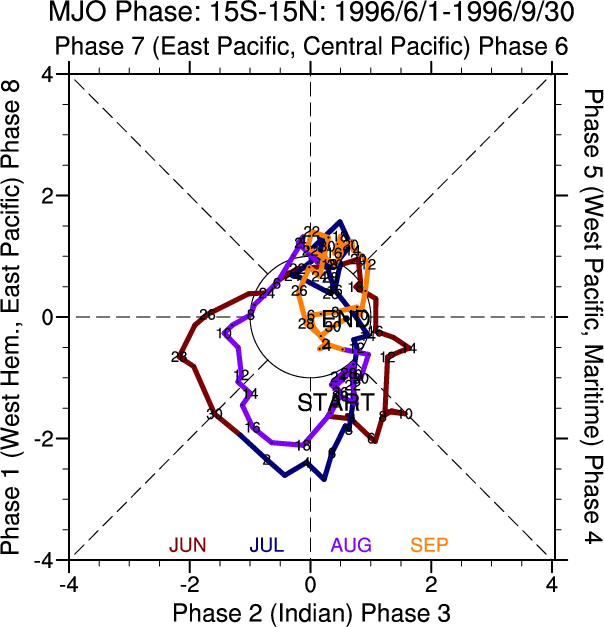 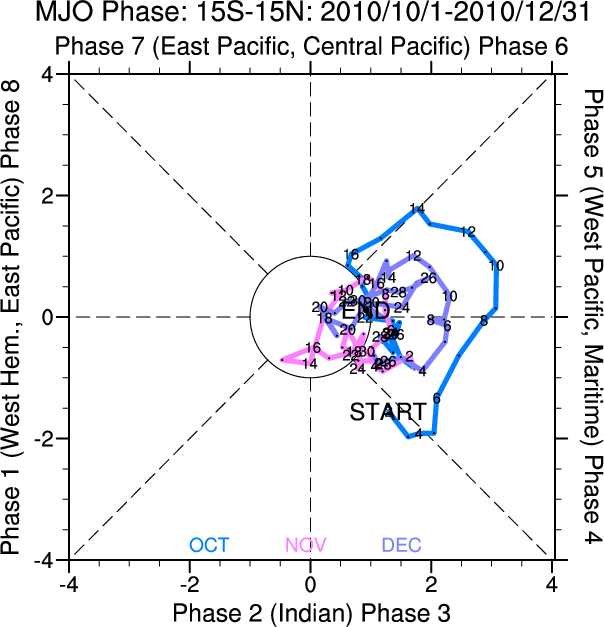 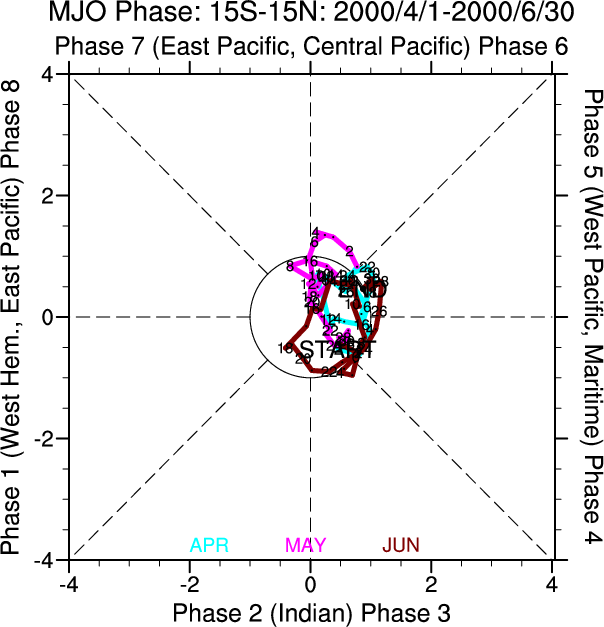 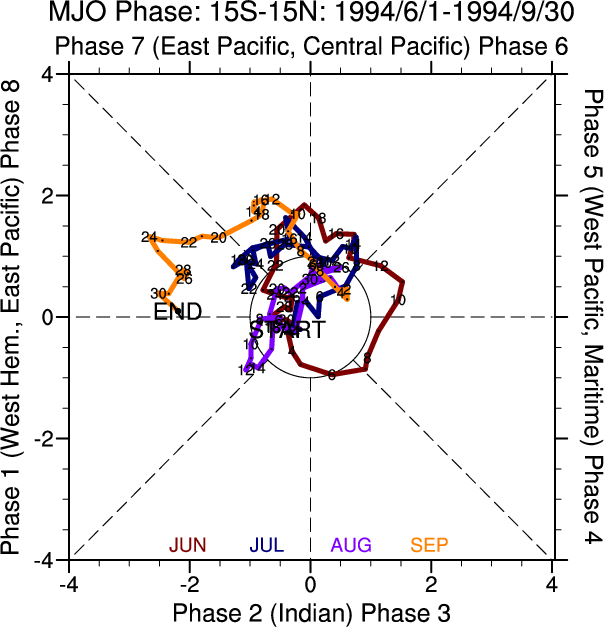 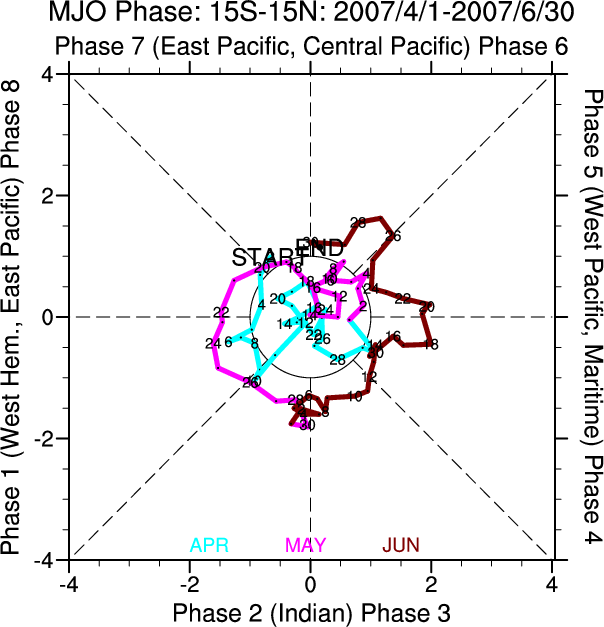 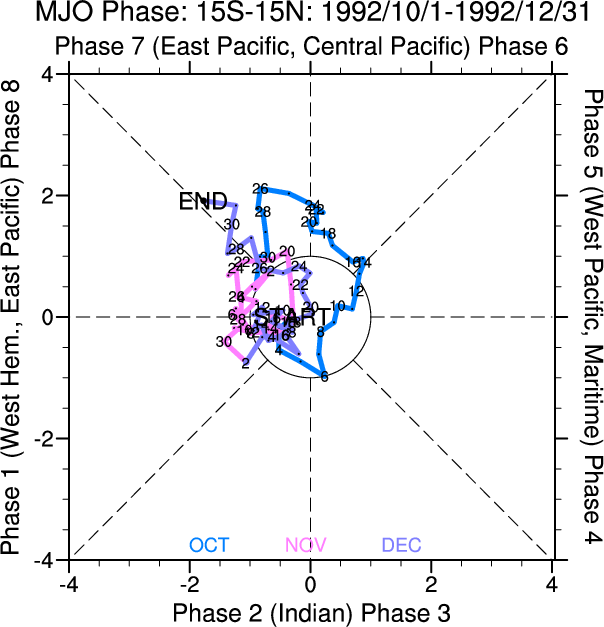 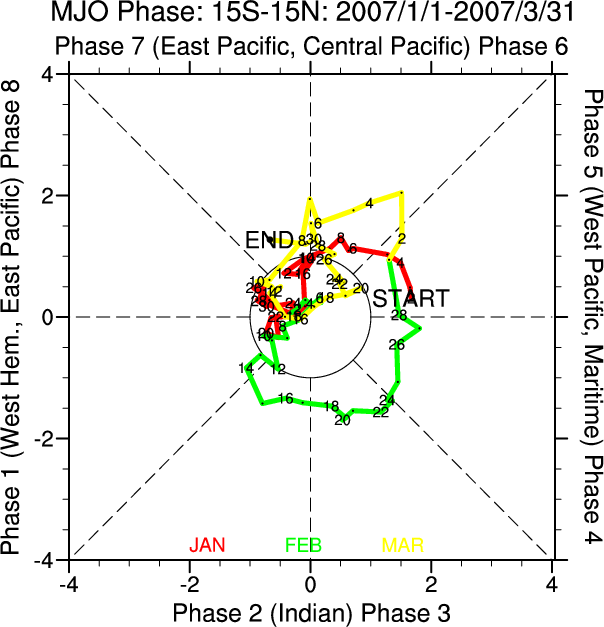 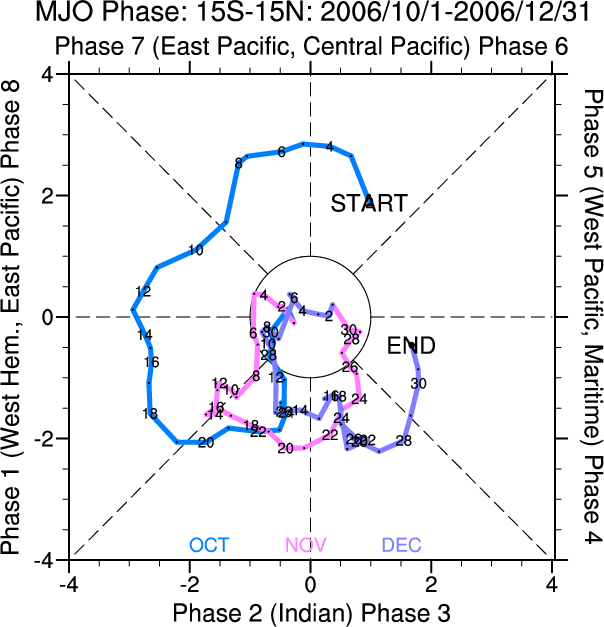 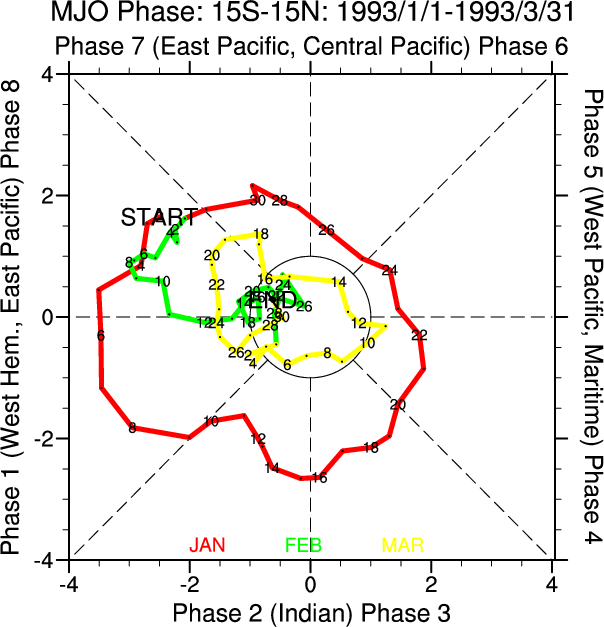 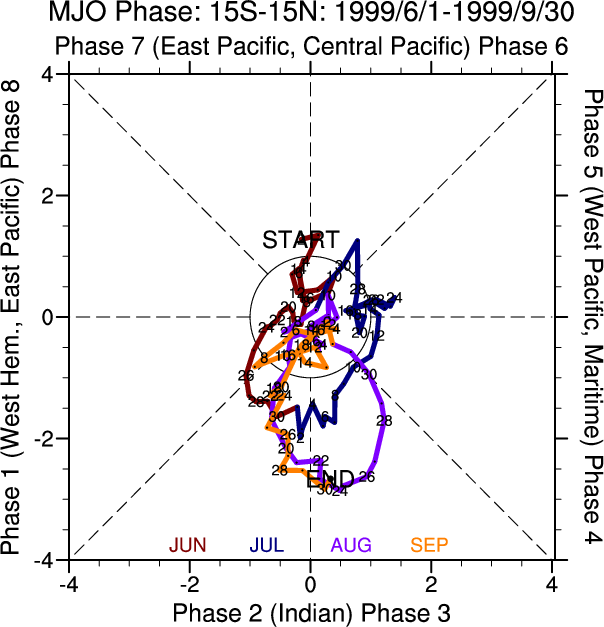 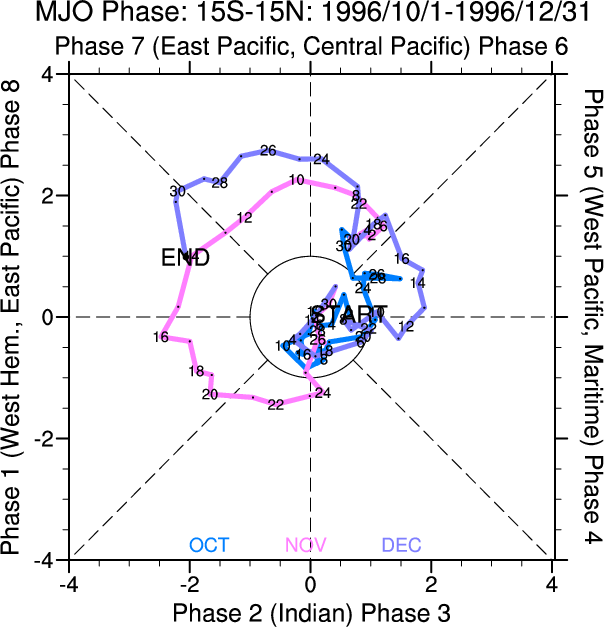 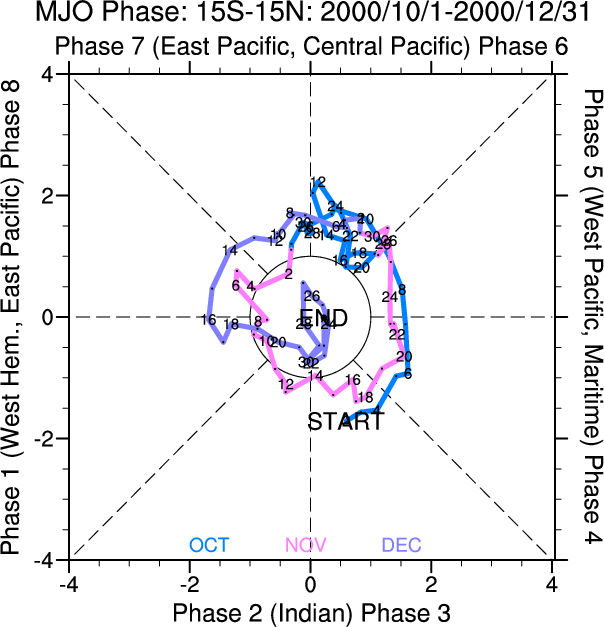 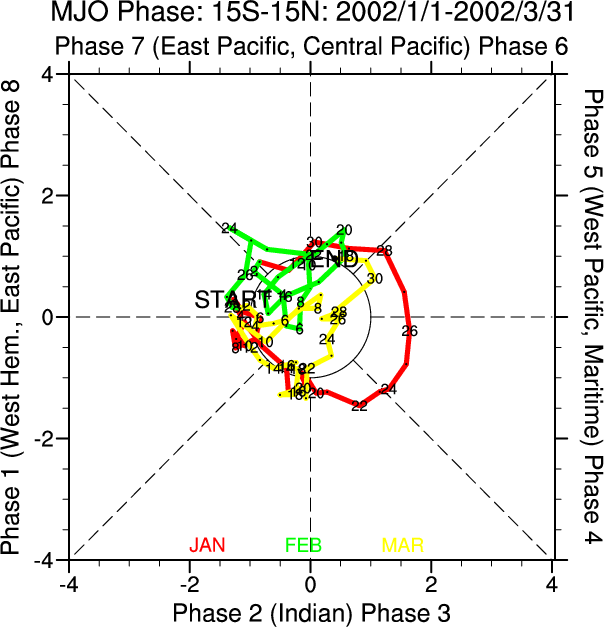 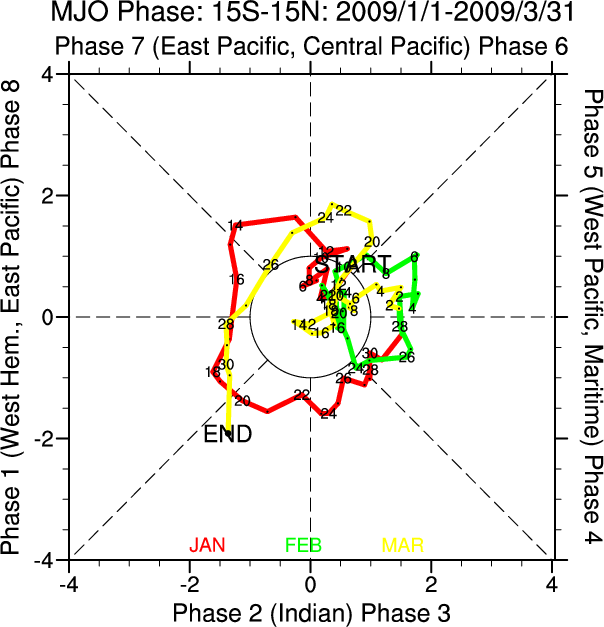 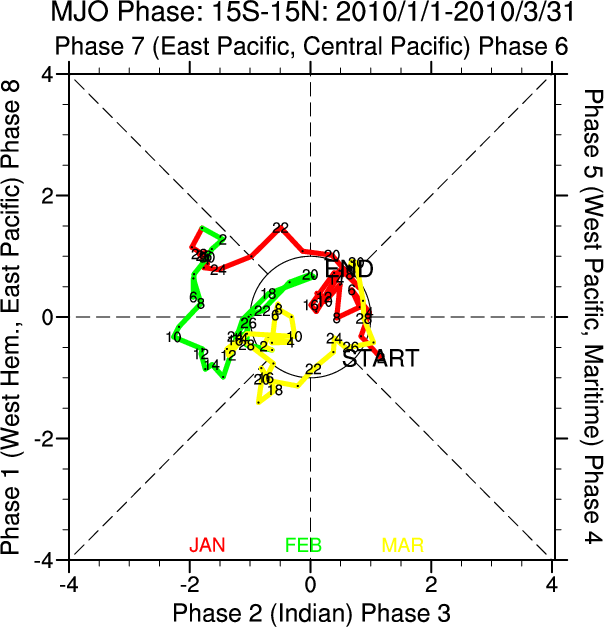 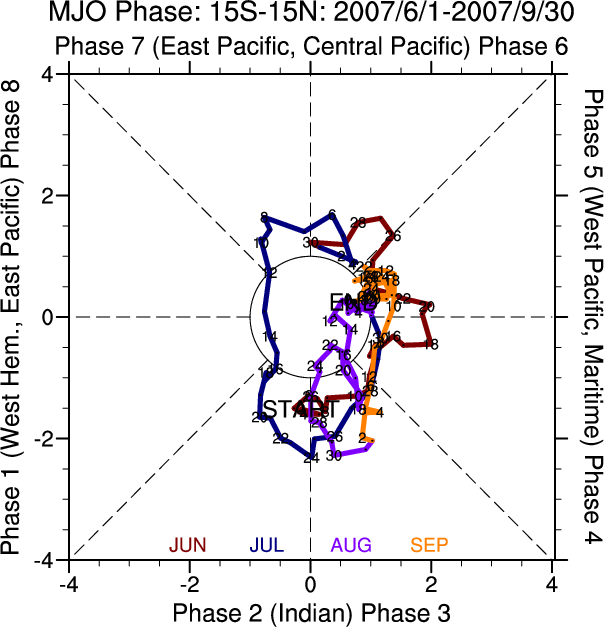 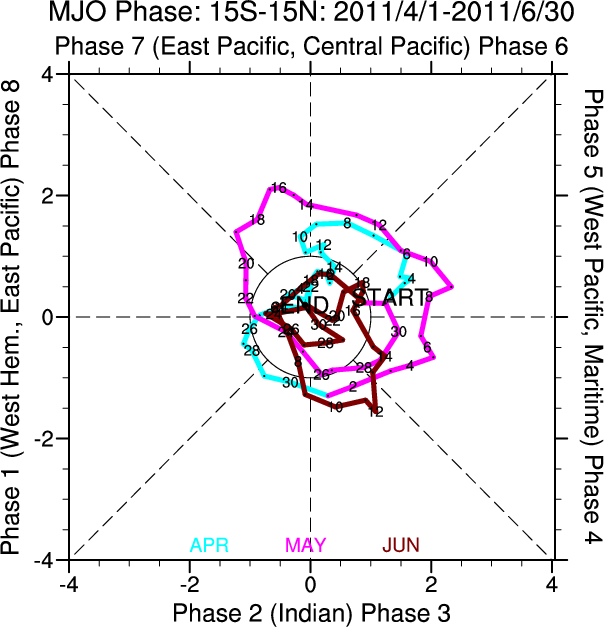 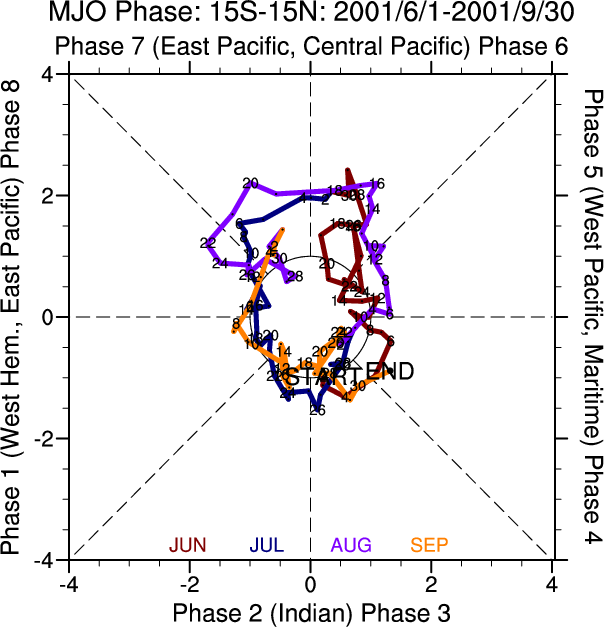 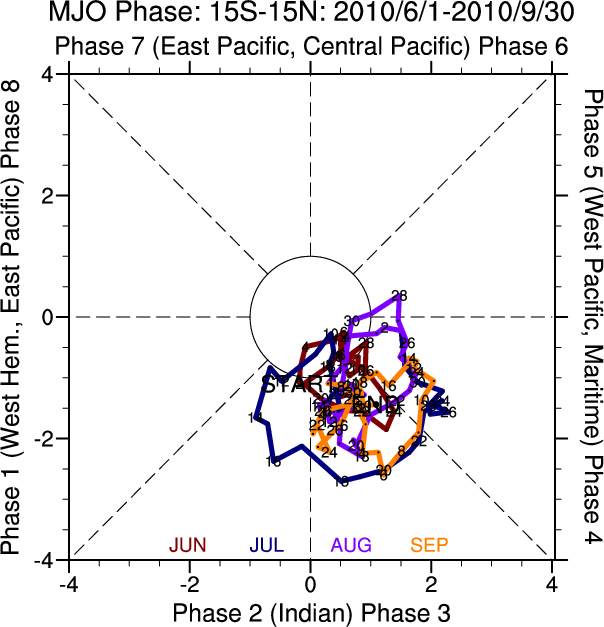 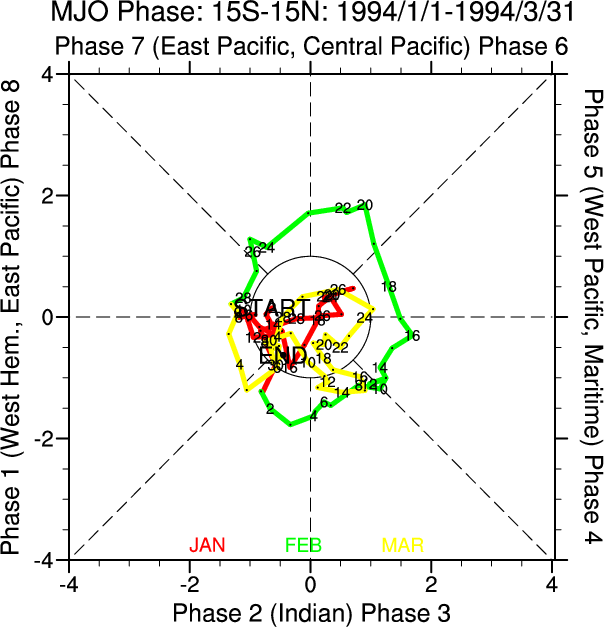 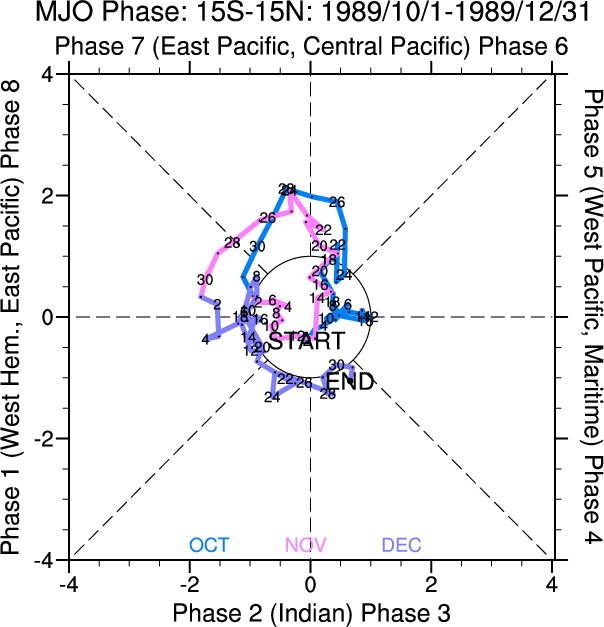 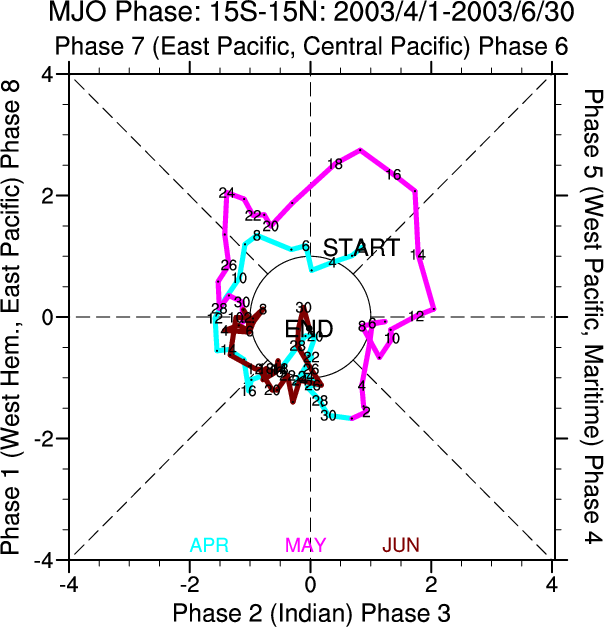 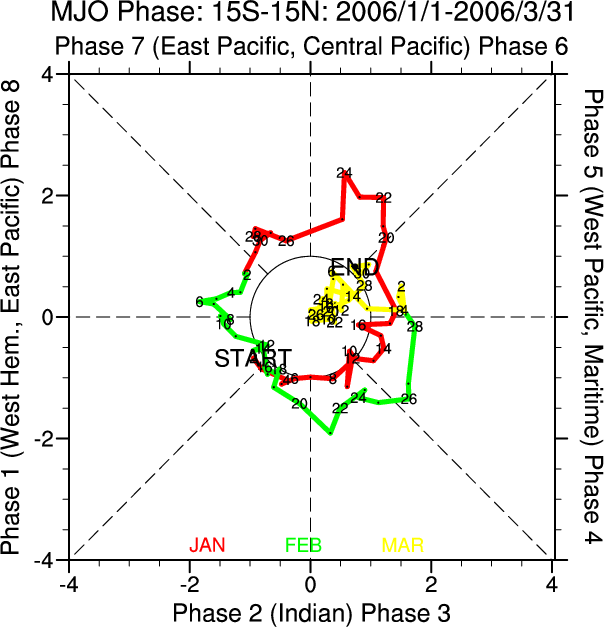 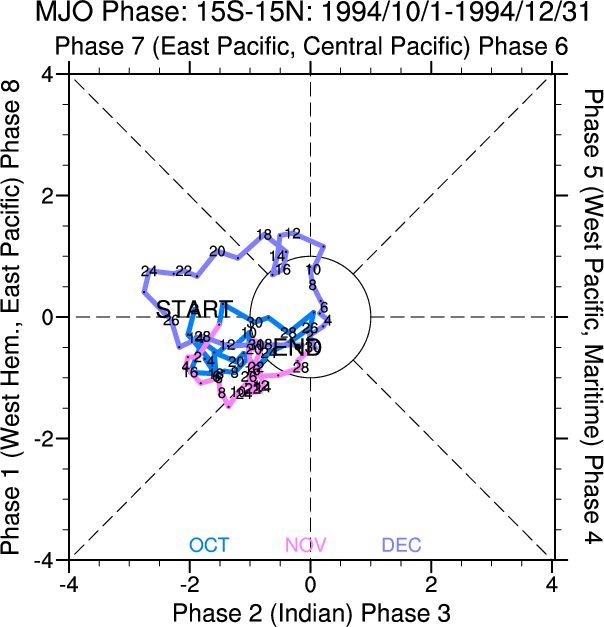 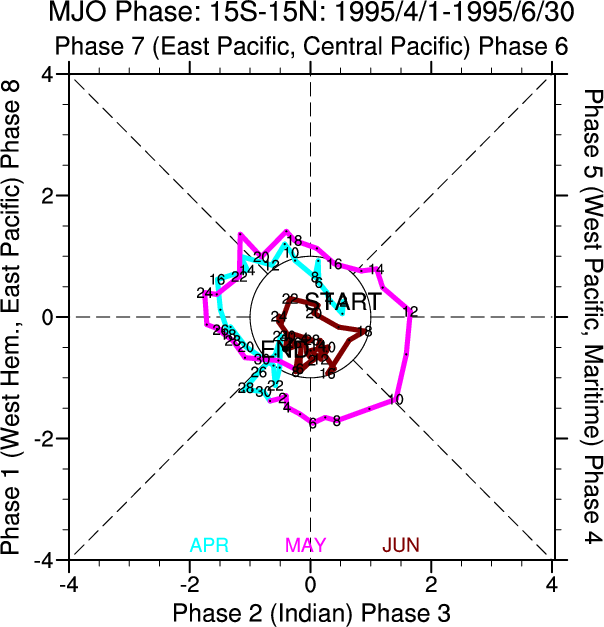 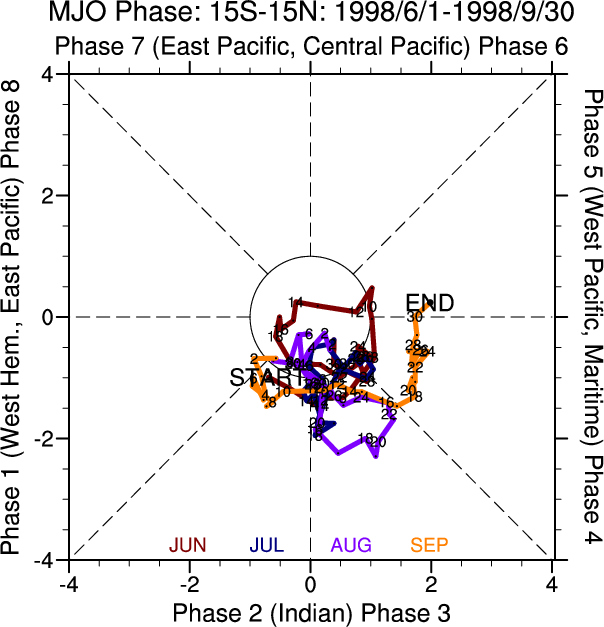 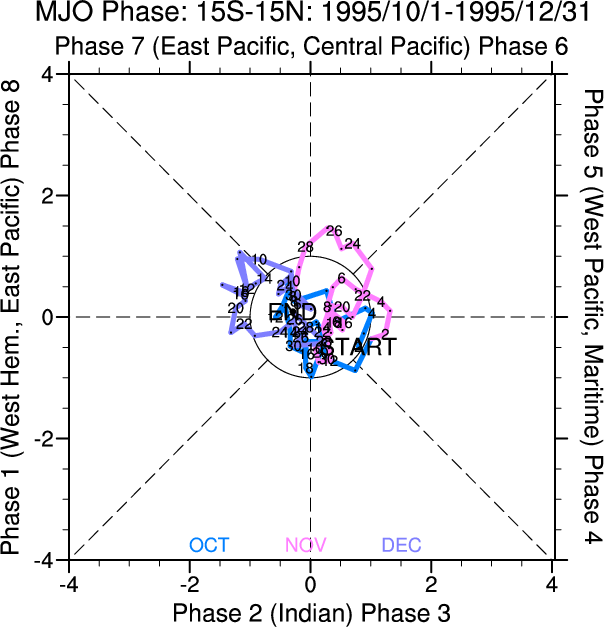 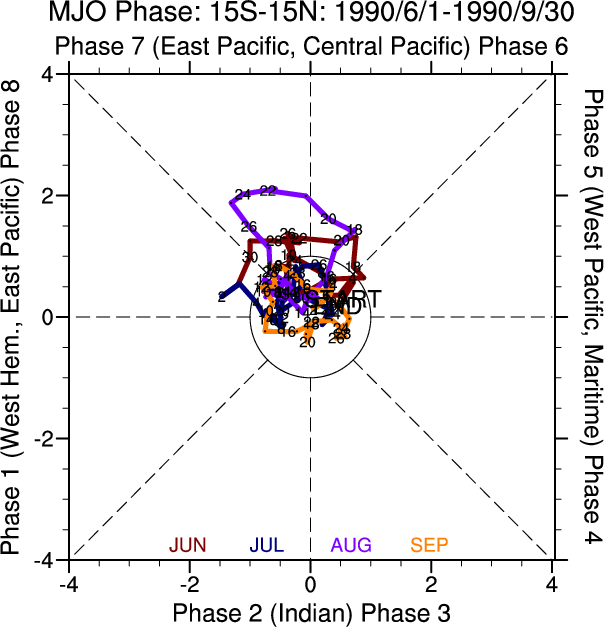 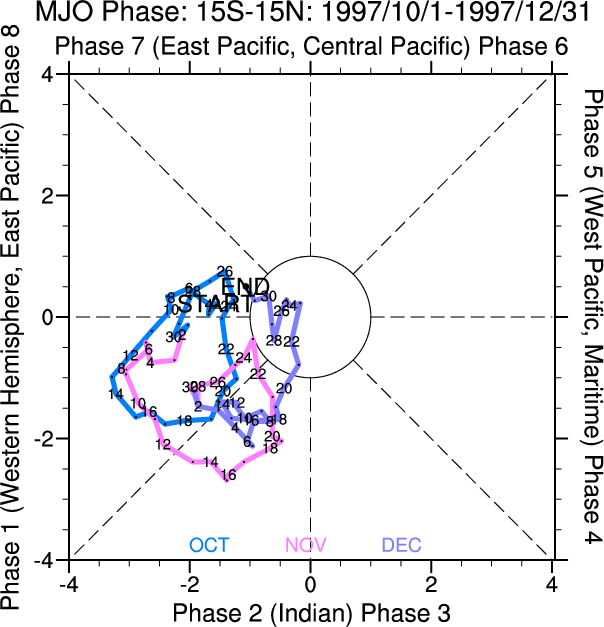 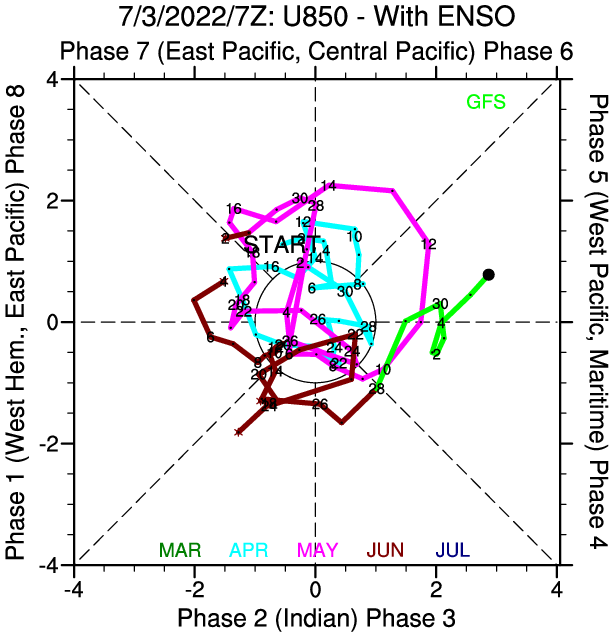 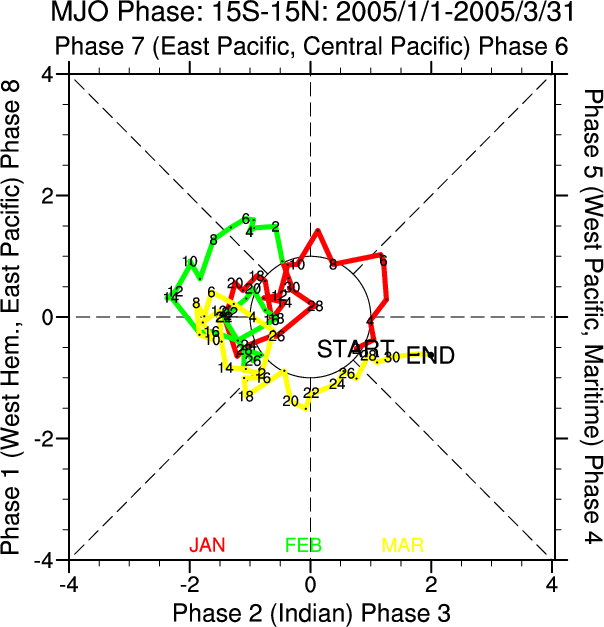 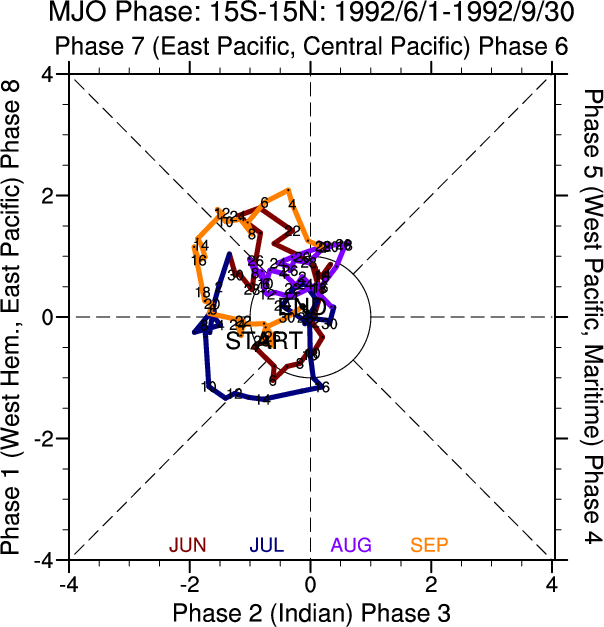 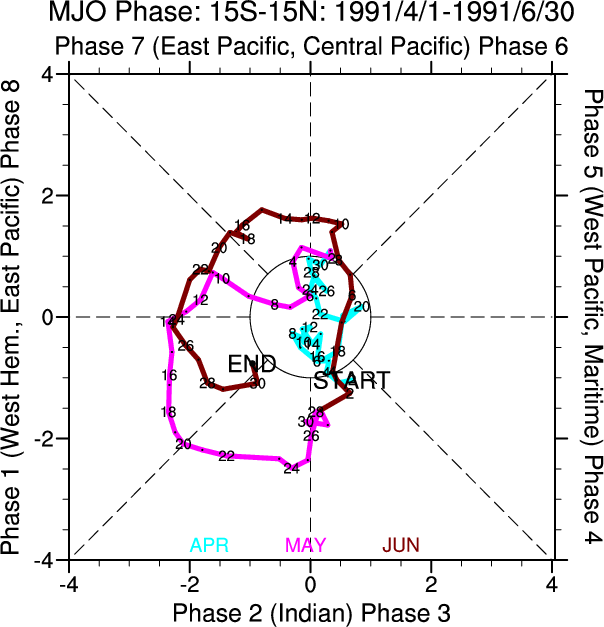 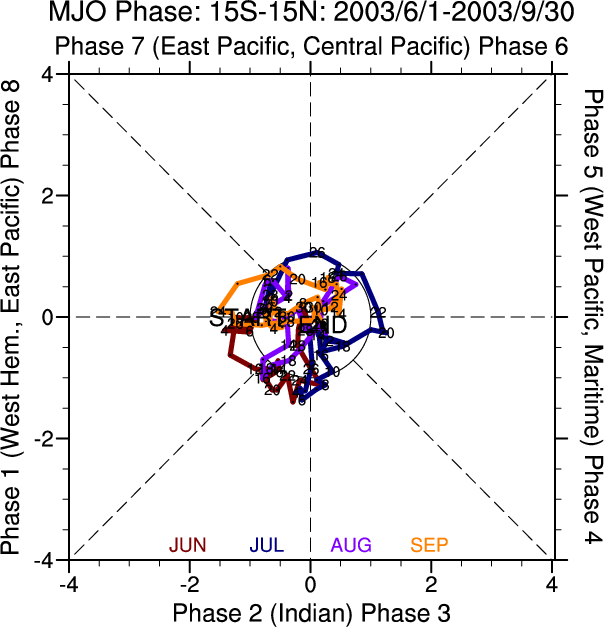 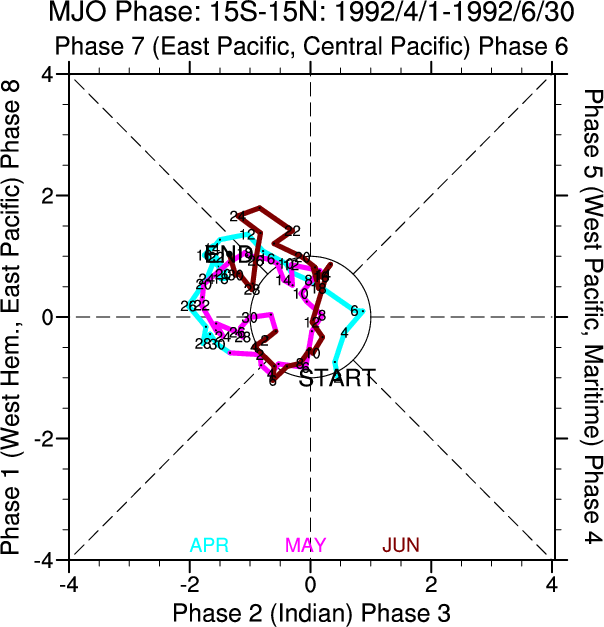 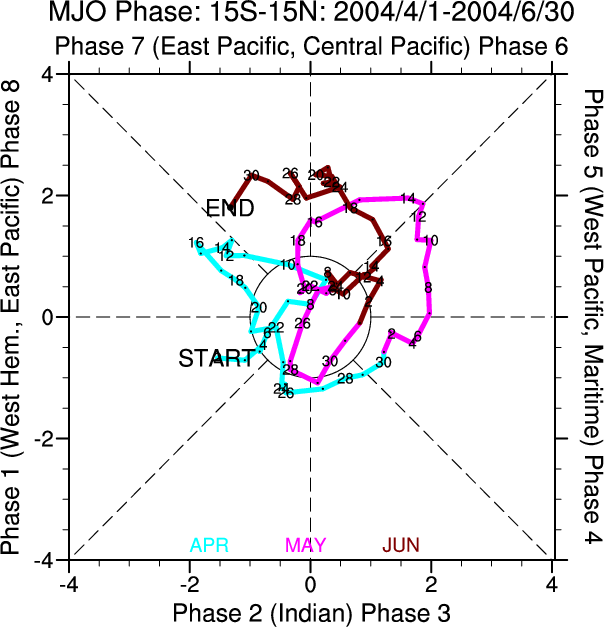 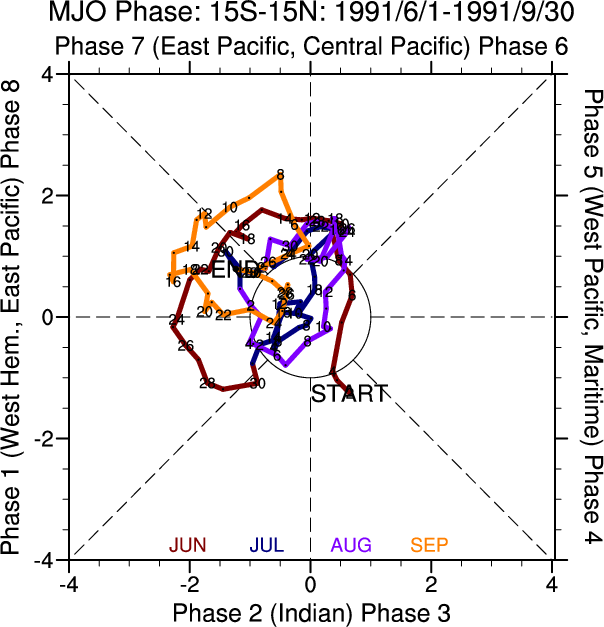 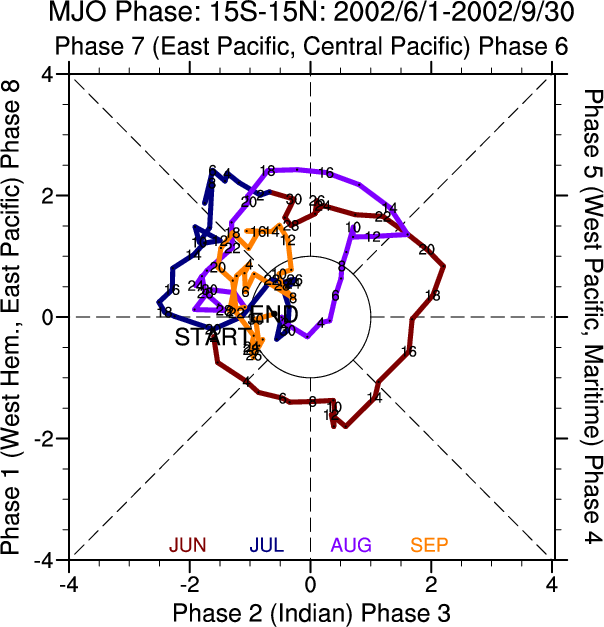 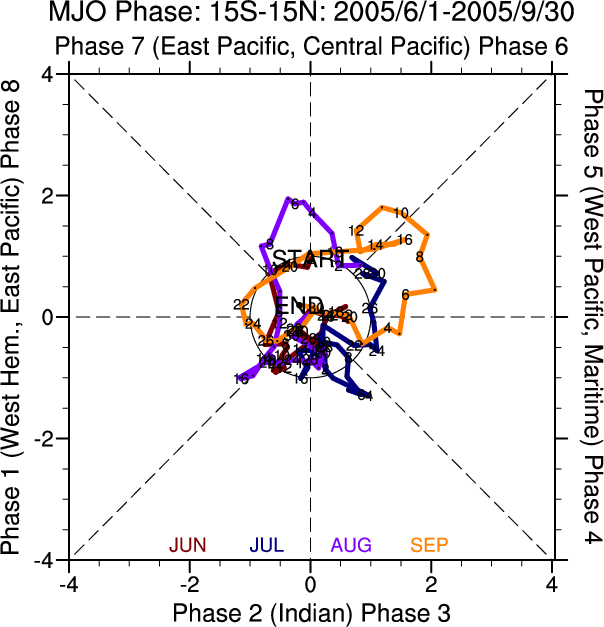 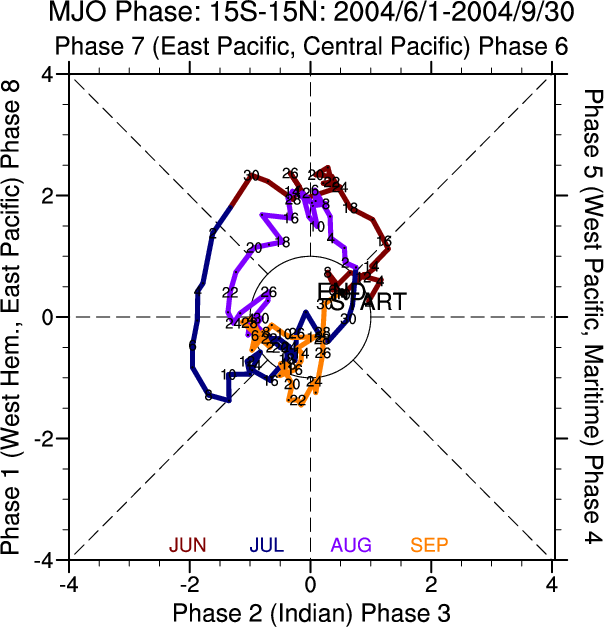 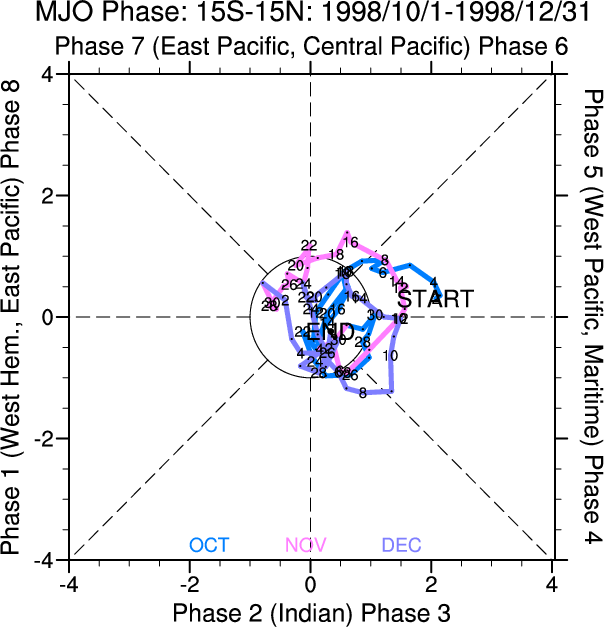 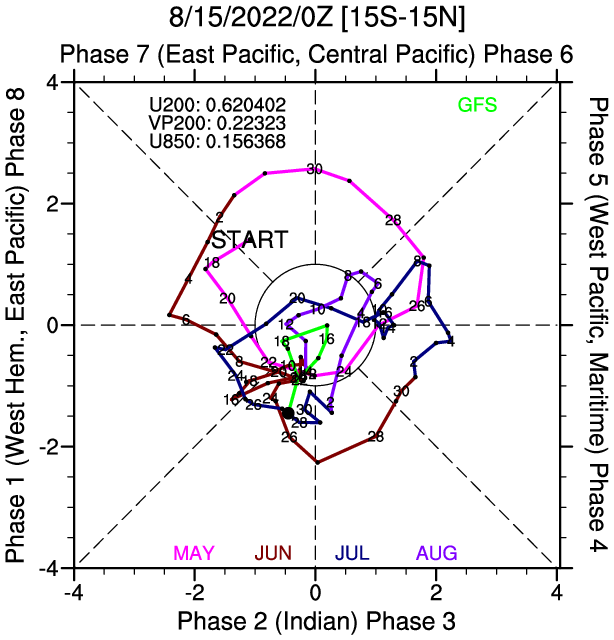 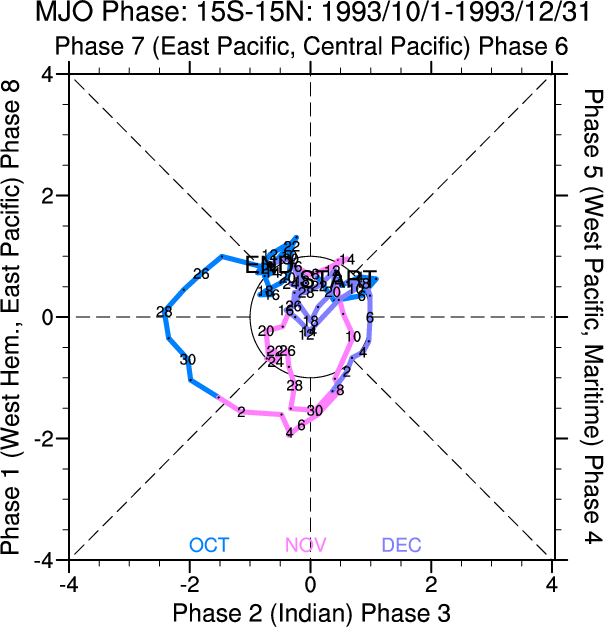 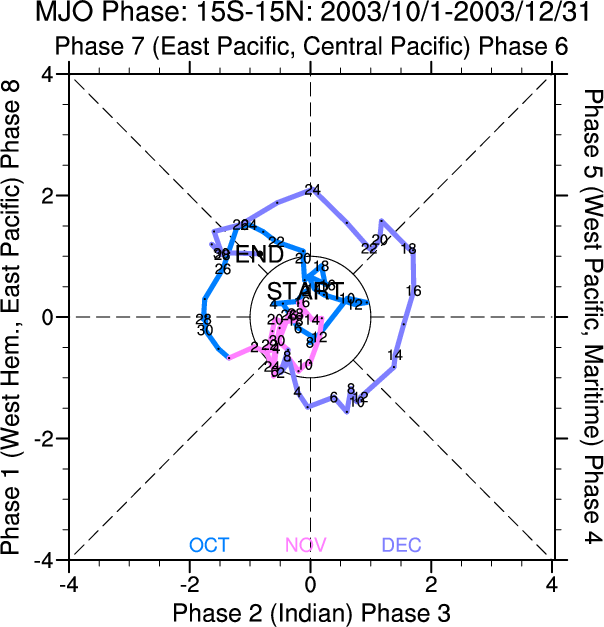 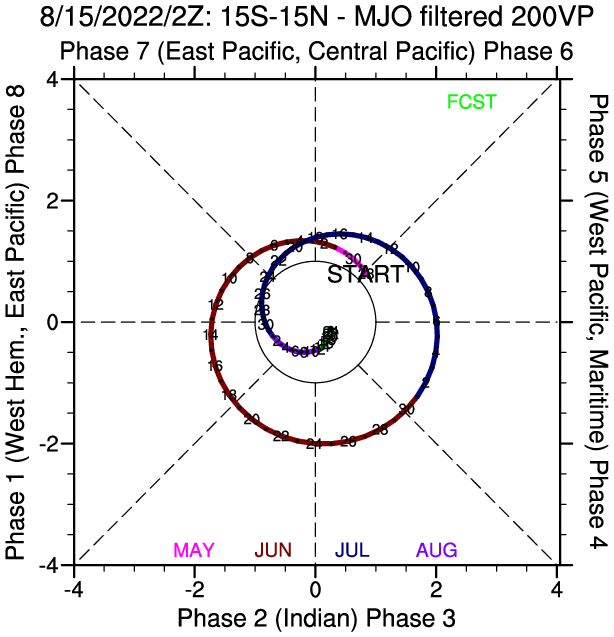 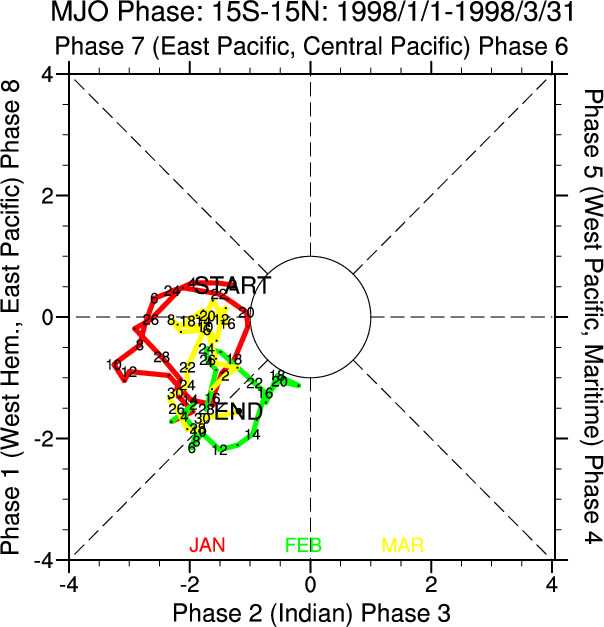 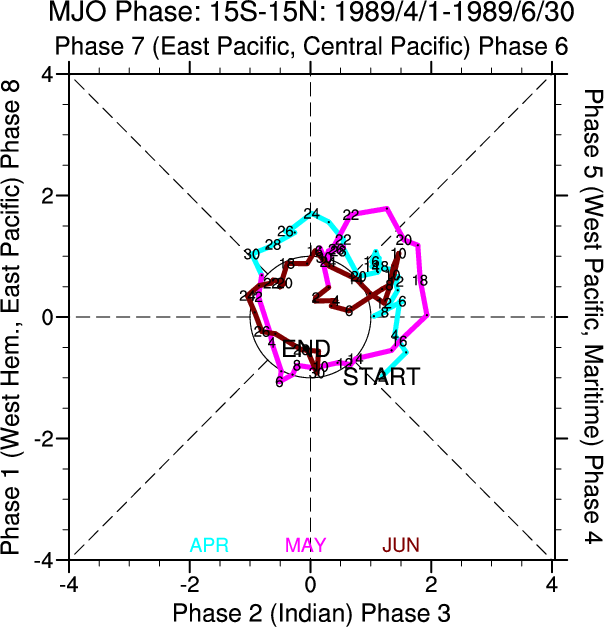 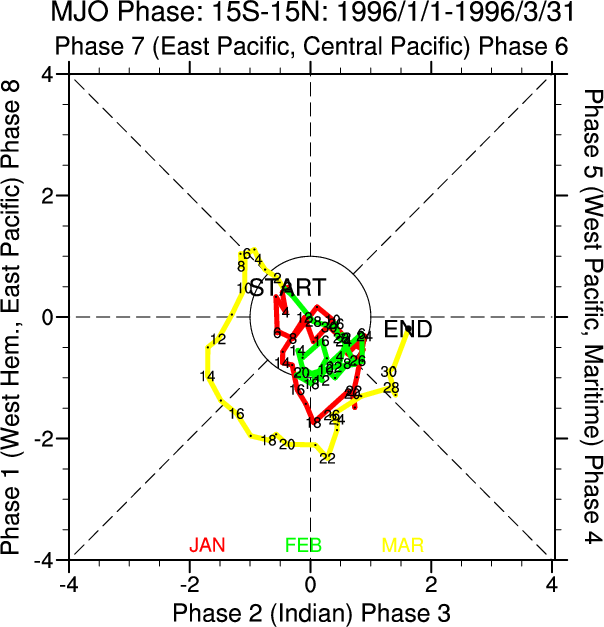 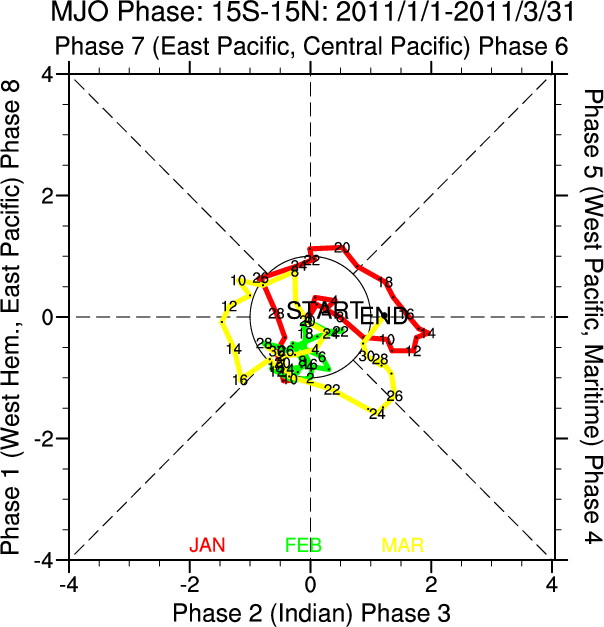 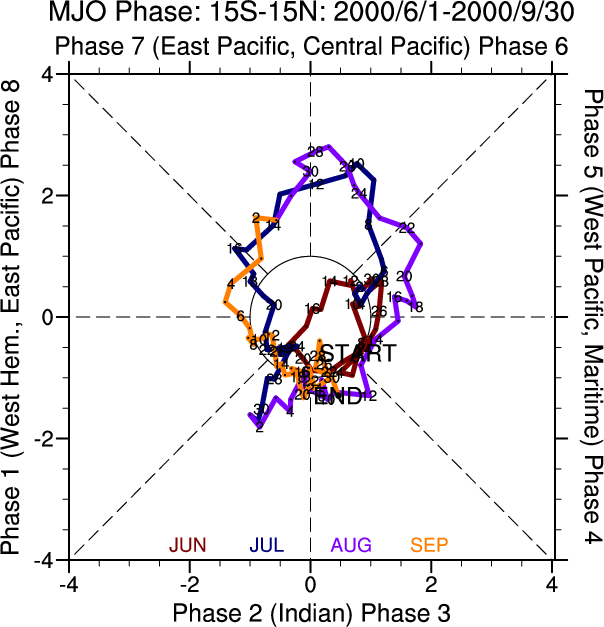 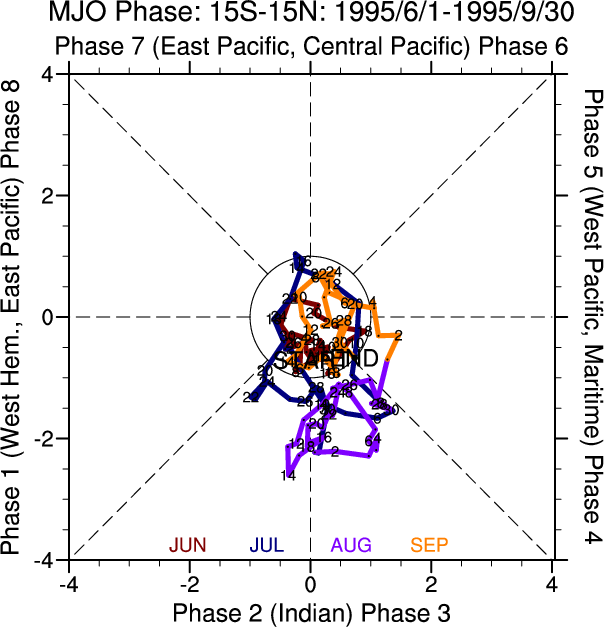 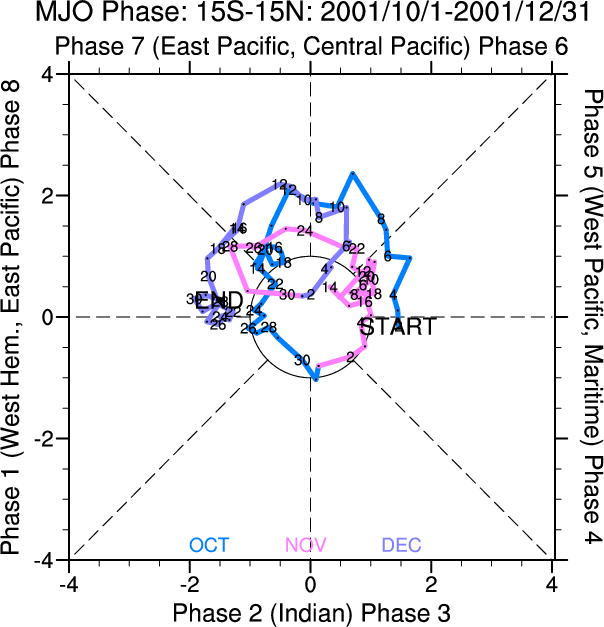 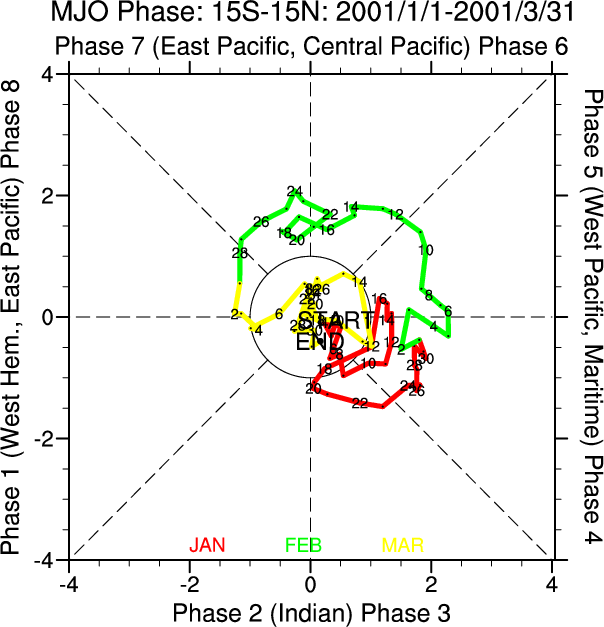 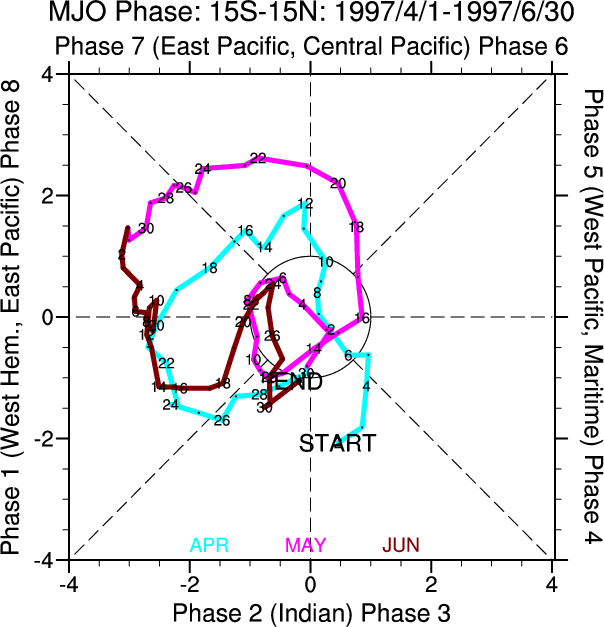 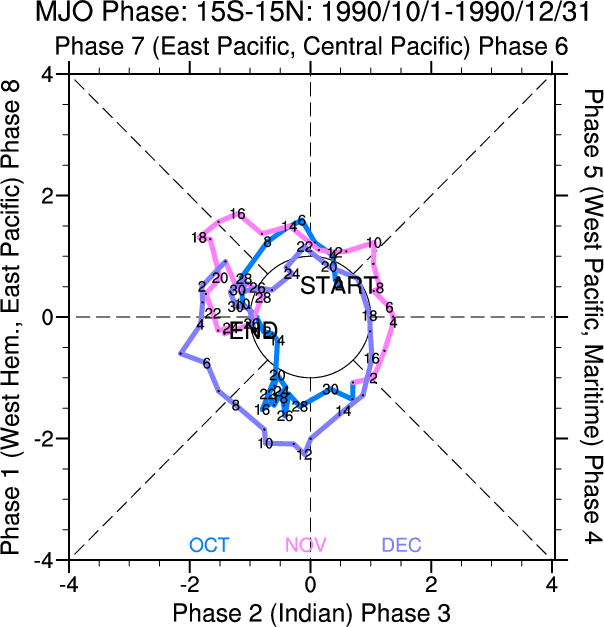 Real-Time multivariate MJO Phase Space Diagrams - Michael J. Ventrice, Ph.D.
MJO filtered VP200 anomalies for the current state, for the week 1 forecast, and for the week 2 forecast. 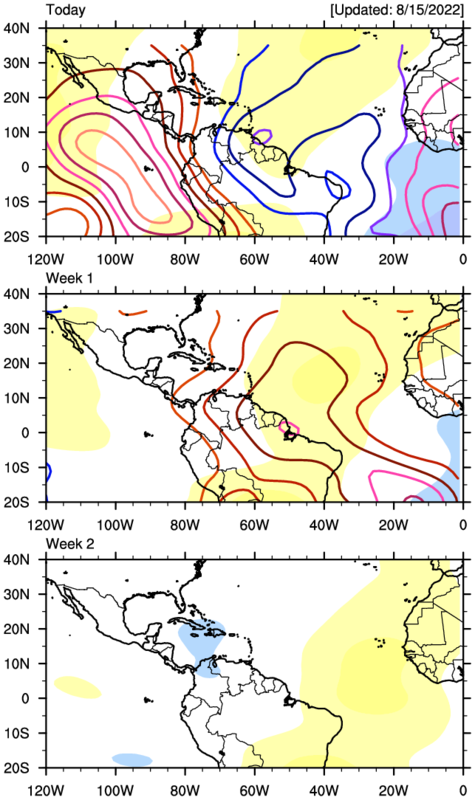 and warm colors represent a less favorable state for tropical cyclogenesis. 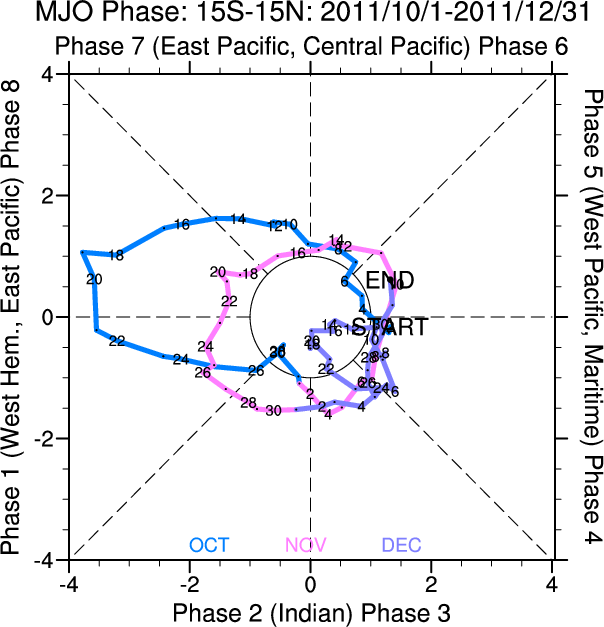 This product is built using GFS 1.0 near-real time analyses back to 260 days with the current most 7-day GFS 1.0 operational forecast. 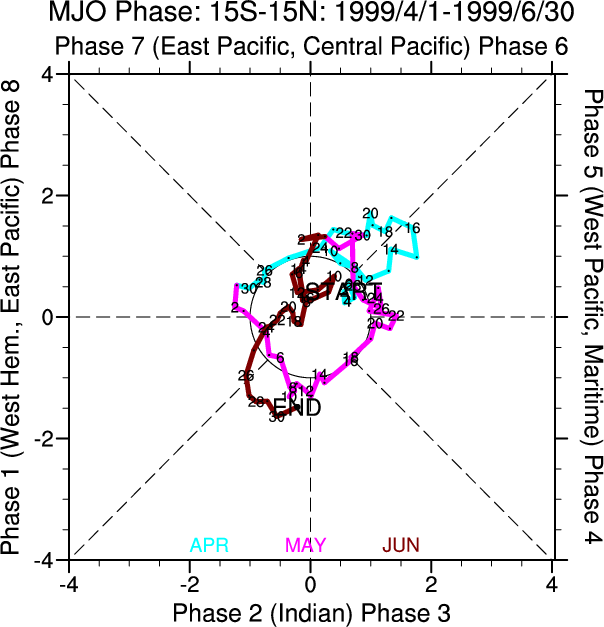 Current Day = MJO filtered VP200 anomalies (shaded) are averaged using the previous 3 days; Week 1 = MJO filtered VP200 anomalies are averaged using forecast days +1 through +7. 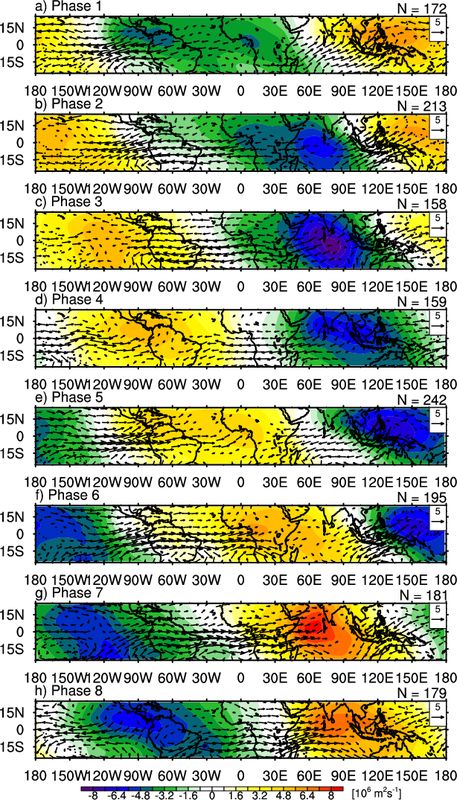 Week 2 is built using a simple extrapolation of the filtered fields in time using a zero-padding technique following the last day of GFS operational forecast data. 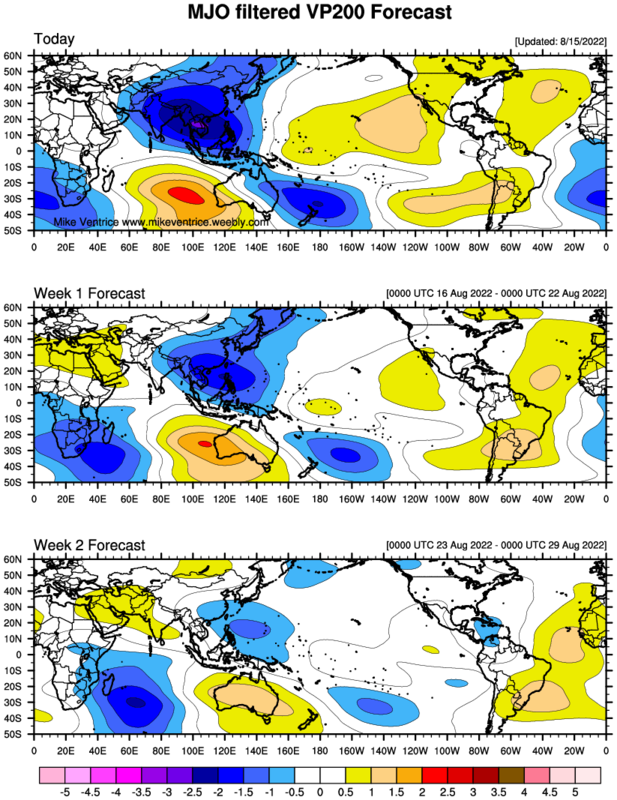 Therefore, Week 2 will always have weaker anomalies expressed when compared to Week 1 every time. 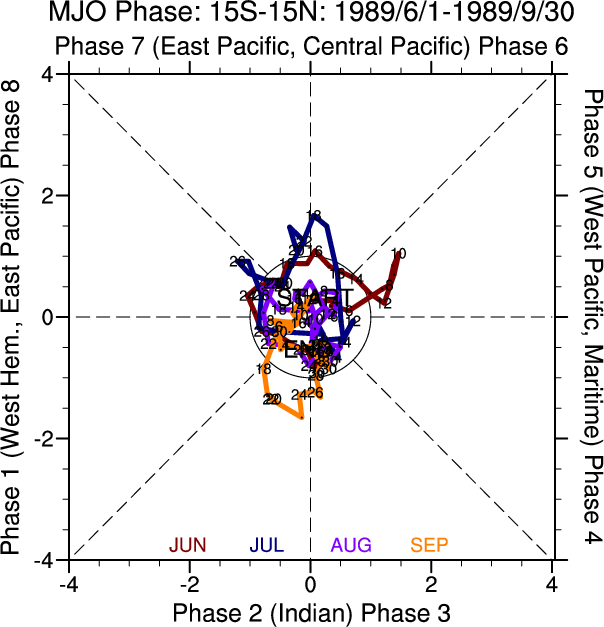 Week 2 = MJO filtered VP200 anomalies is an average of forecast days +8 through +14. 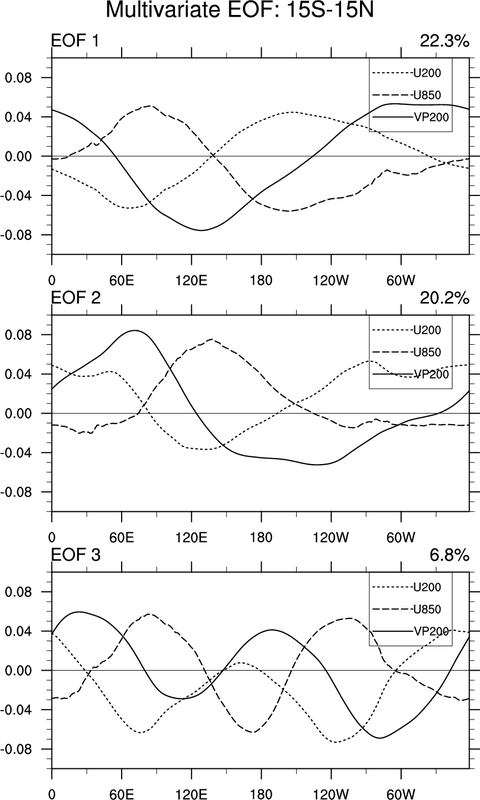 The fractional contribution of each component on the full PC is shown in top left. 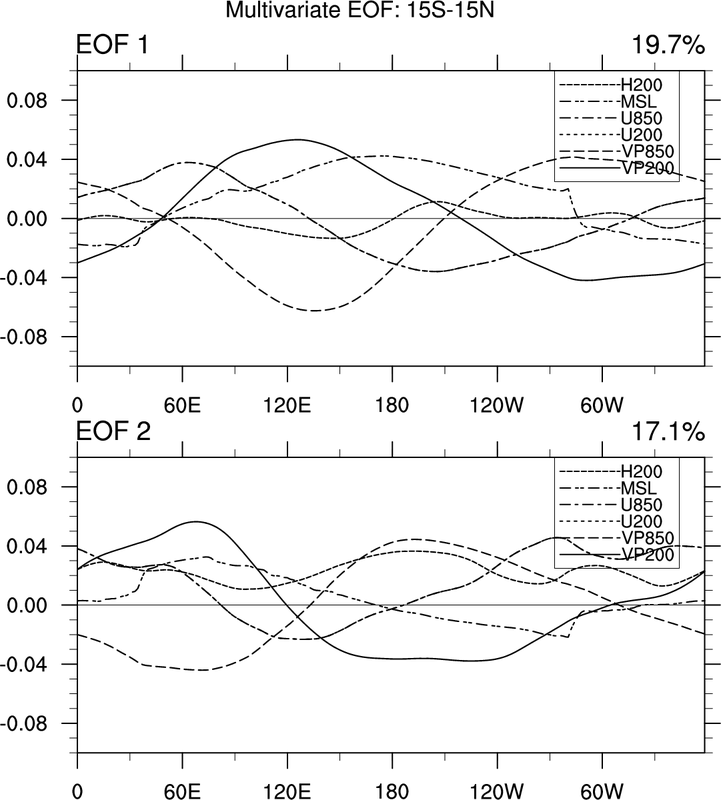 To see the variance of EOFs 1 and 2 , click here. 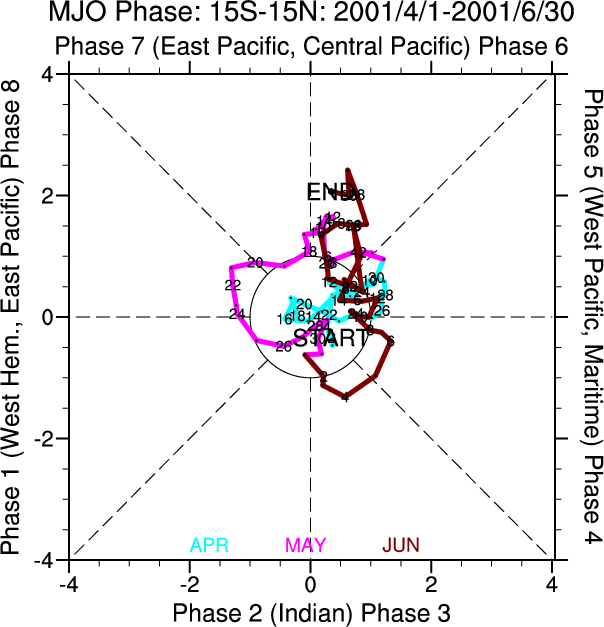 MJO Filtered VP200 anomalies. 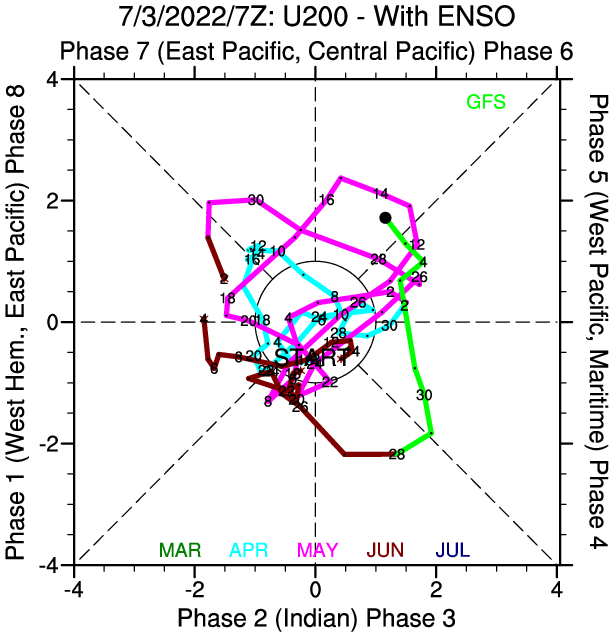 To see the variance of EOFs 1 and 2 , click here. 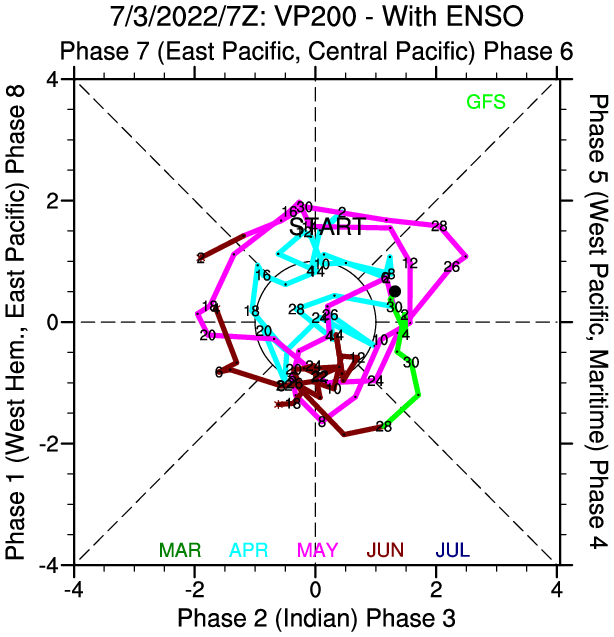 GFS variables used are VP200, VP850, U200, U850, MSLP, H200 averaged over 15S-15N. 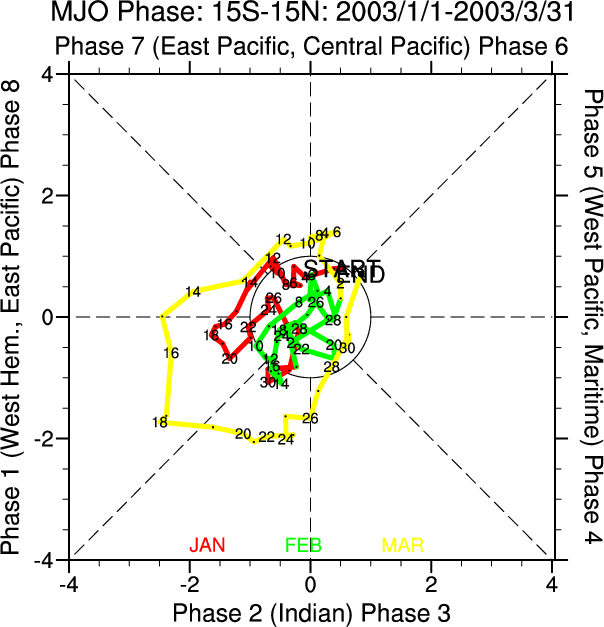 The fractional contribution of each component on the full PC is shown in top left. 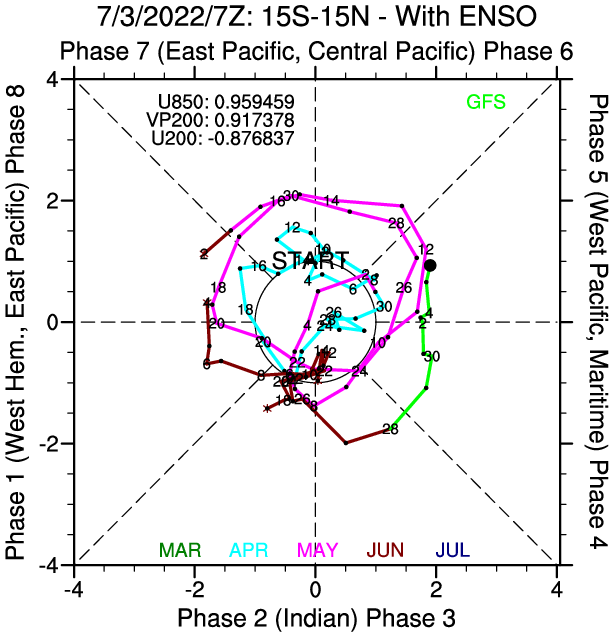 To see the variance of EOFs 1 and 2, click here.